How else do we learn about our creek beds and their healthy or climate than taking a look at them up close and personally? I ventured into our creek beds which gave me an awesome understanding of our fair Evergreen. 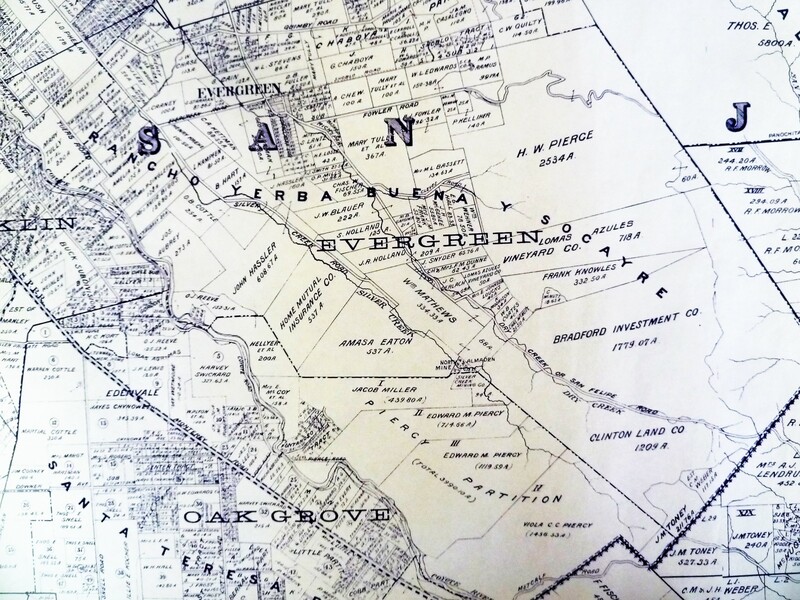 Today, we’re going to discuss a creek bed which is the namesake for the Western region of Evergreen between its namesake and Coyote Creek. That’s right. I’m talking about Silver Creek. 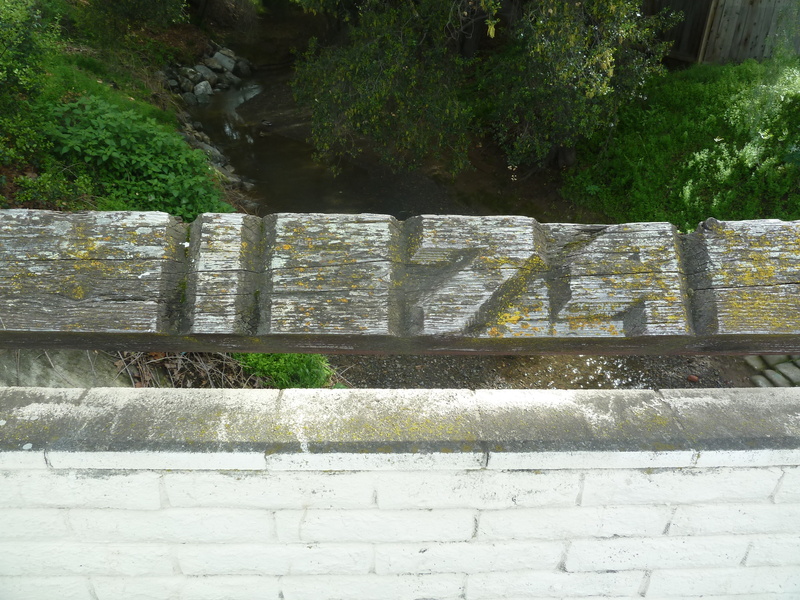 I went to Silver Creek High School, built in 1969, and never once wondered why the name. 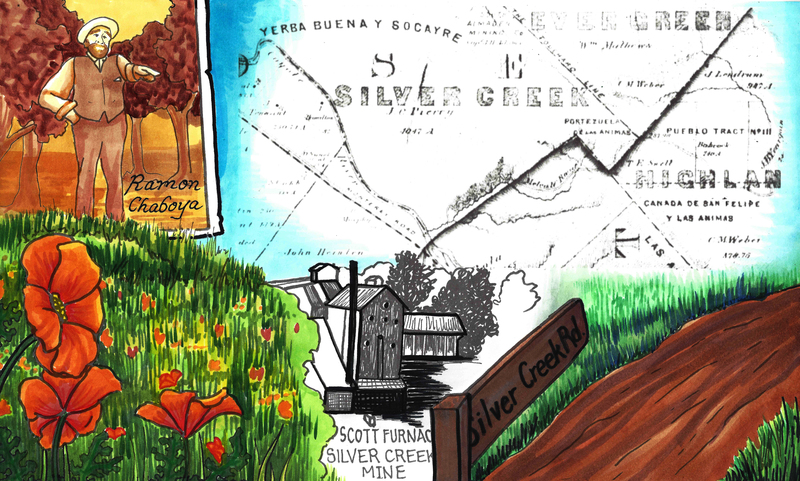 When I first started this project, it appeared that Silver Creek was an important part of Evergreen’s story. 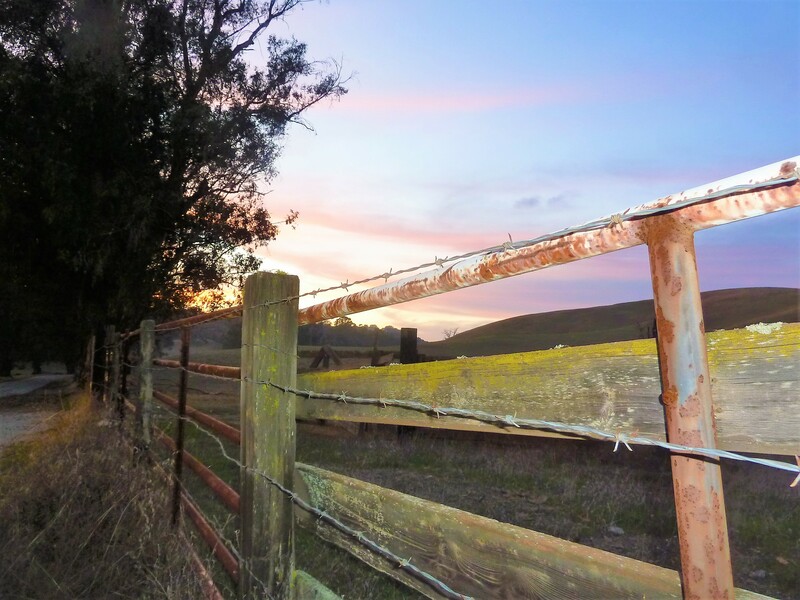 Farmers with land attached to creeks had the upper hand. 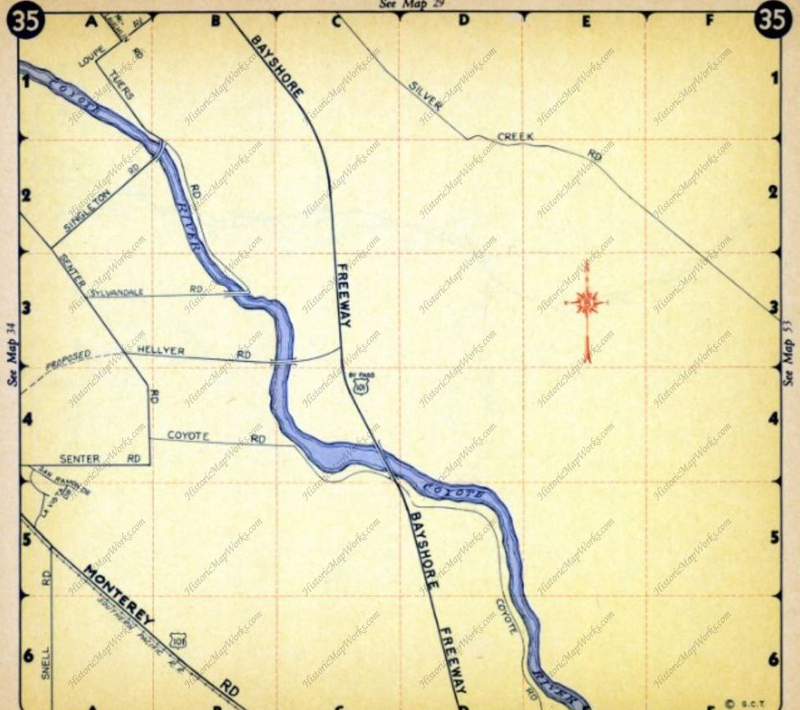 Before Silver Creek, the area, was an idea, the creek was there and Cunningham Lake was named Silver Lake. This creek must’ve been so large, it contributed to the naming of the region. 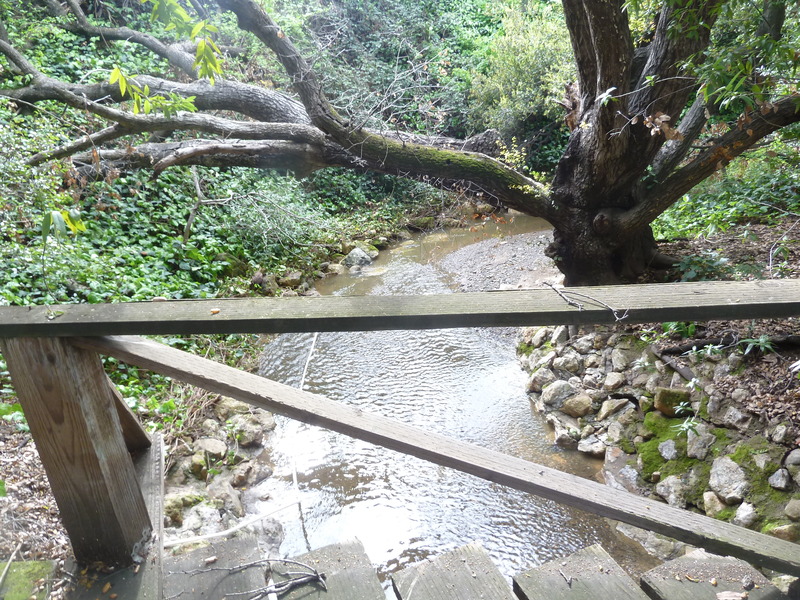 In fact, the whole network of creeks through Evergreen contribute to the Lower Silver Creek Watershed. 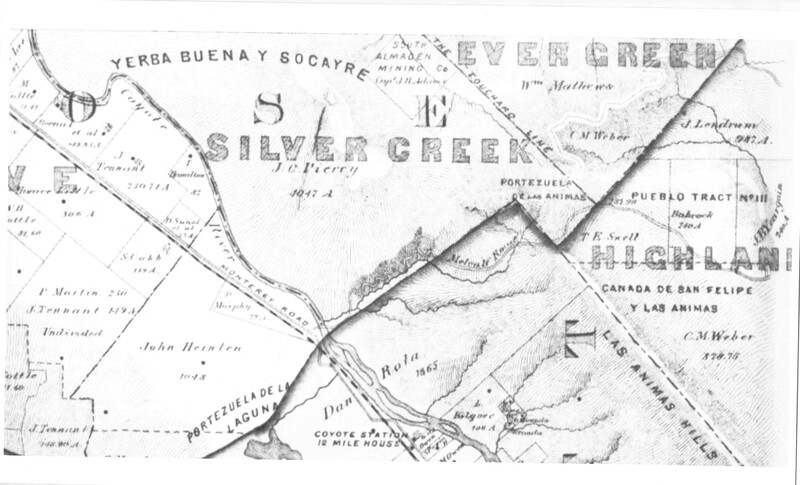 Silver Creek, as in the neighborhood and Evergreen’s first high school, has beenlocated on maps at least into the 1860’s. 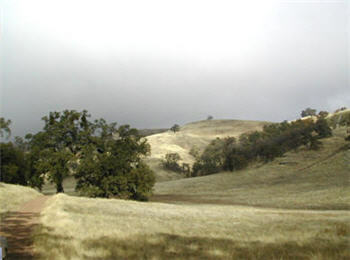 Silver Creek, the area and the Creek, are historic. This 1867 Altas shows it off predominantly. 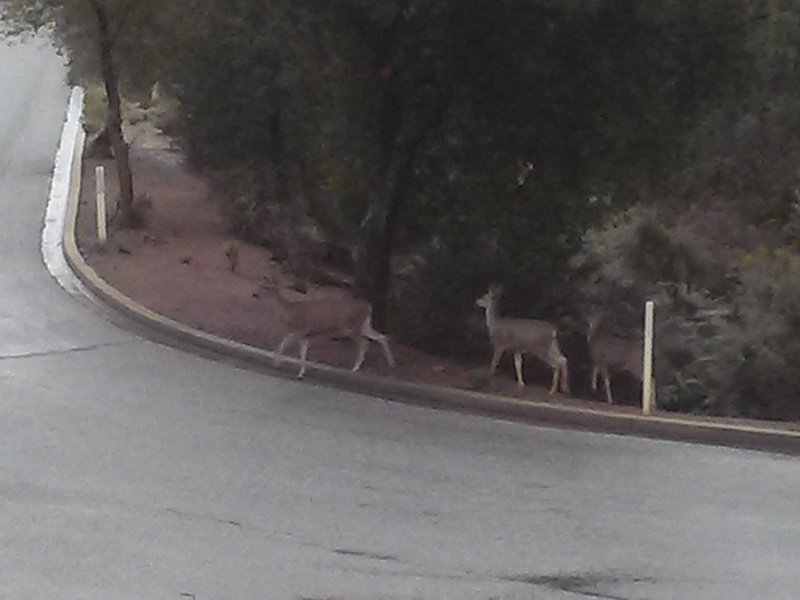 It’s 2 miles outside of Downtown Evergreen, located off San Felipe Road and Evergreen Road. 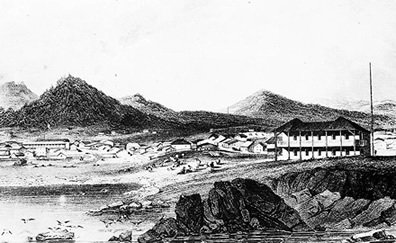 It might’ve grown up as a town had stores not opened in nearby Township of Evergreen. 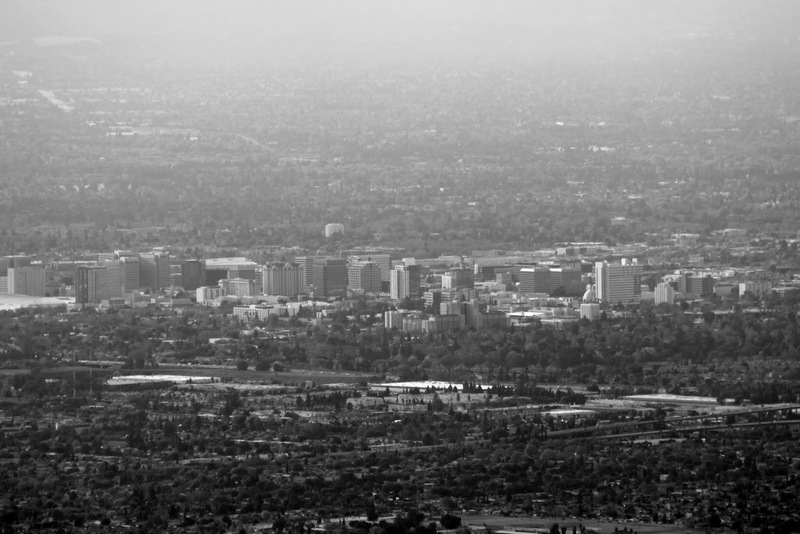 Because of its closeness to Edenvale and Downtown San Jose, it was incorporated into the City Limits earlier than Downtown Evergreen. Evergreen is the entire Rancho Yerba Buena. This area too being so far West would’ve been settled pretty early on by squatters. Some of the defendants in the Chaboya case from these area specifically were the Cottle Family. 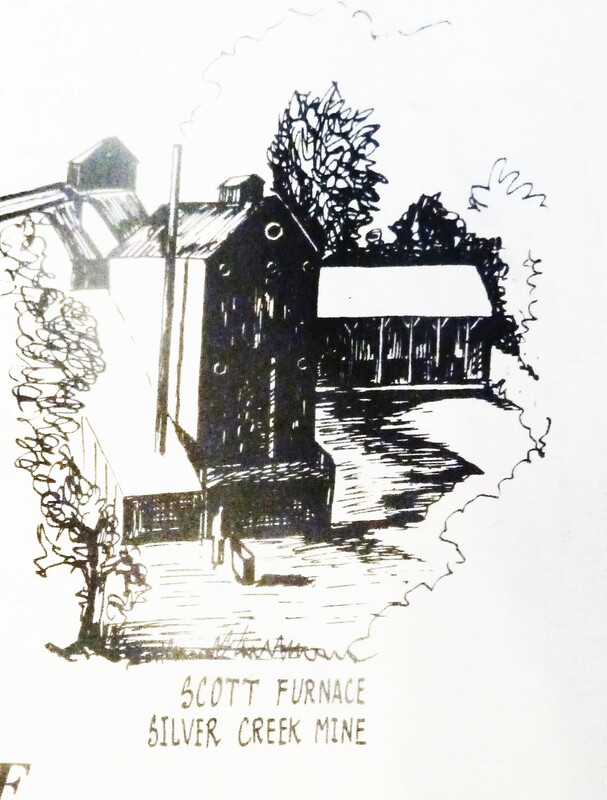 Evergreen was a haven for farmers because of its creeks and natural water delivery system in gravity, hillsides and natural springs throughout Evergreen. 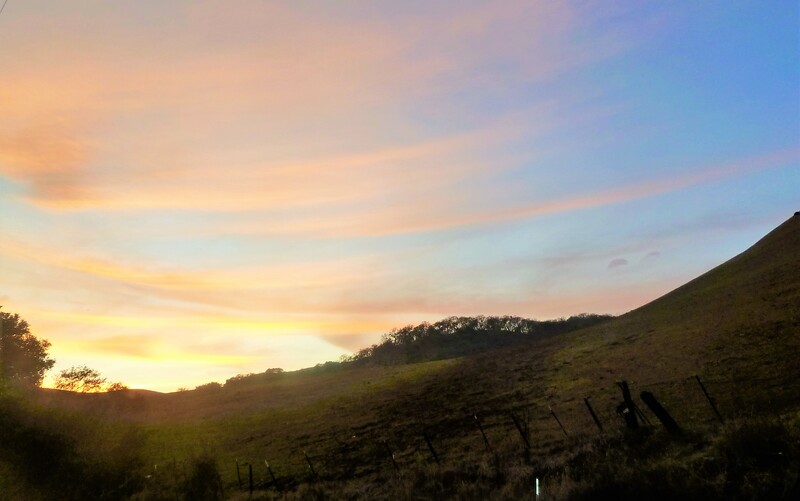 Springs will appear whenever seismic activity is taking place, like Silver Creek and the Silver Creek Mines behind Silver Creek Valley Country Club. Oak Trees and wild berries line the creek bed, with poppies, wild lupin and grasses around the surrounding hills. These Oaks are Coastal Live Oak for the most part, even though Evergreen hosts a wide variety of oak trees. An illness makes oak trees white like this. 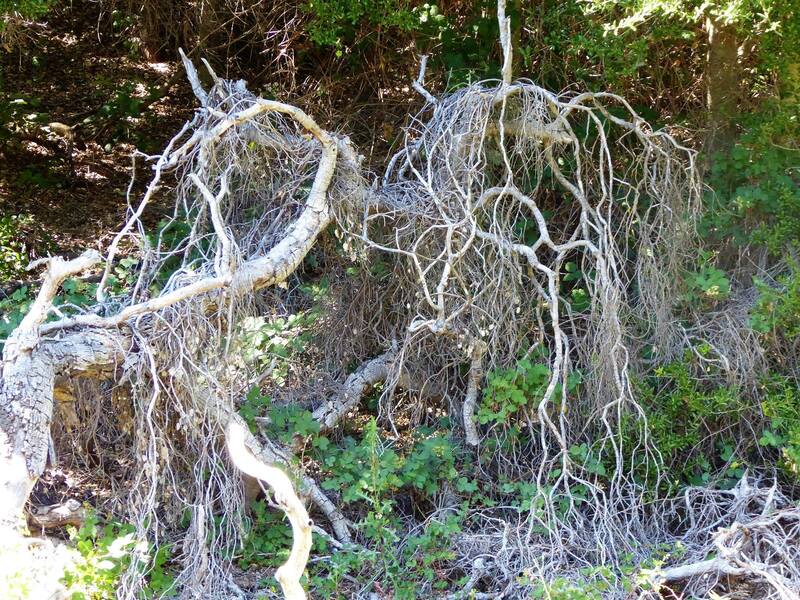 It’s called root canker. Amongst the spectrum of oak diseases, Silver Creek’s oaks are really looking pretty good. 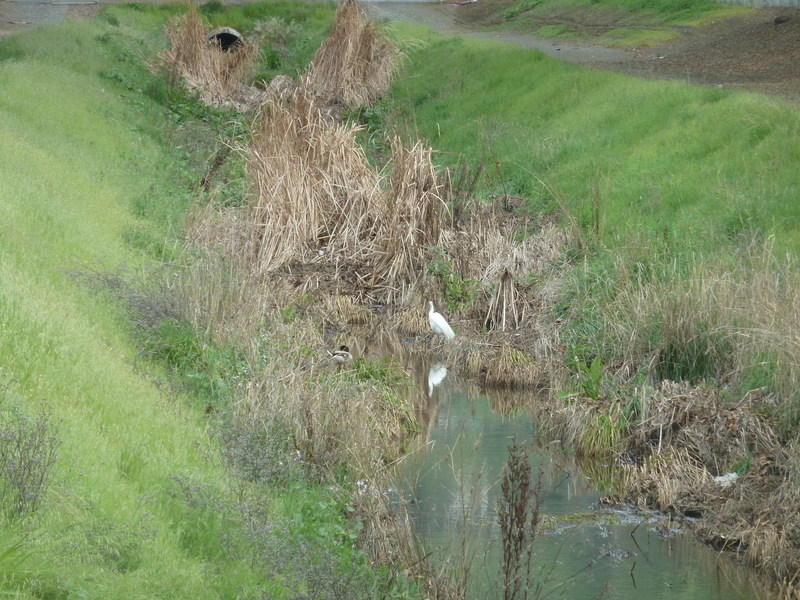 Silver Creek’s ecosystem is fairly healthy, as indigenous birds and wildlife still call it home. Silver Creek’s existing water formations are very clean and free from pollutants. 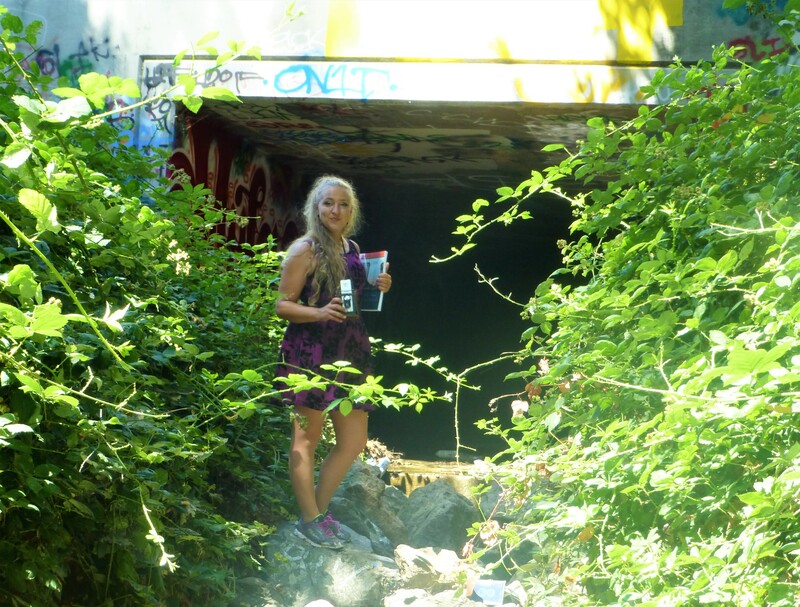 When I examine this Creek, the only littering I see is on road ways nearby – not in the water itself. Here, by Silver Creek Linear Park where Silver Creek appears to end, the Cottle’s cobble stone walls along the Dove Hill border are still evident. Silver Creek Road, King Road, White Road, Quimby Road and Evergreen Road back in those days were the huge arteries into Evergreen. You can see in this enlargement to the left that Silver Creek Road and the Creek intertwined through modern day “the Ranch” development over Hassler Parkway. Below you can view the entire length of the creek and roads. 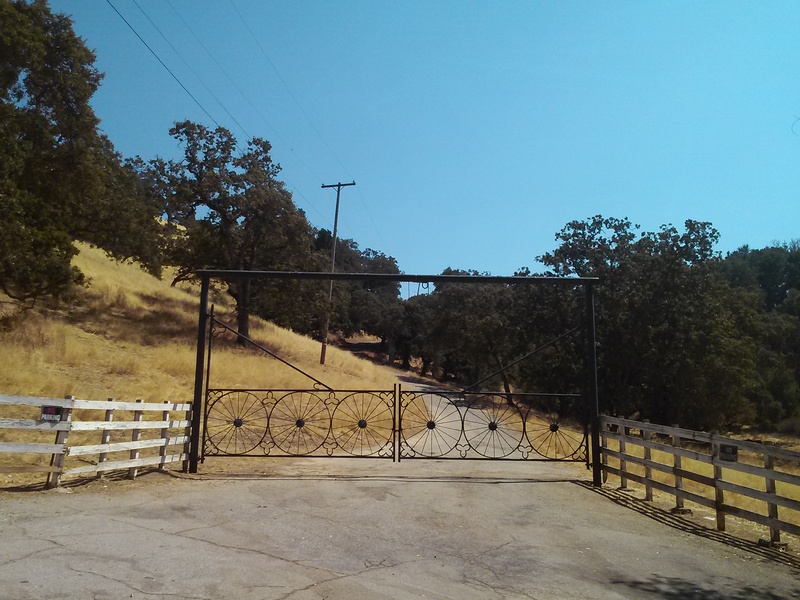 Where Silver Creek Road straightens out has always transitioned to King Road. King Road would’ve been the way to get to Downtown. Kinda still is. 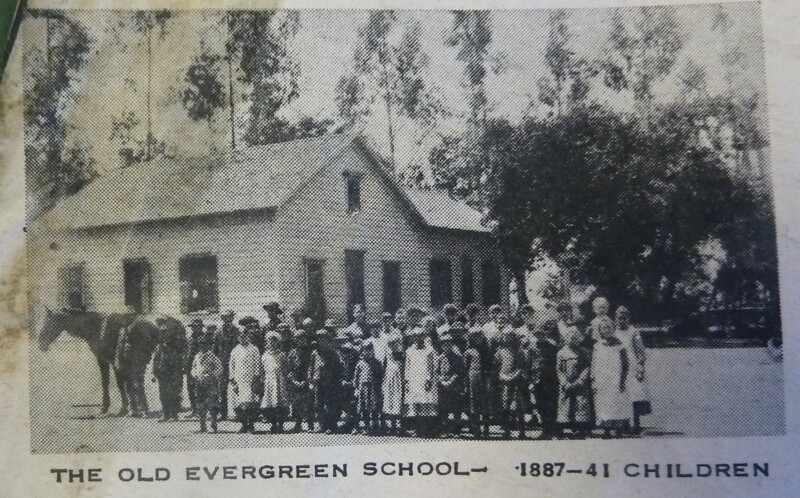 Silver Creek had its own grammar school at one point too. 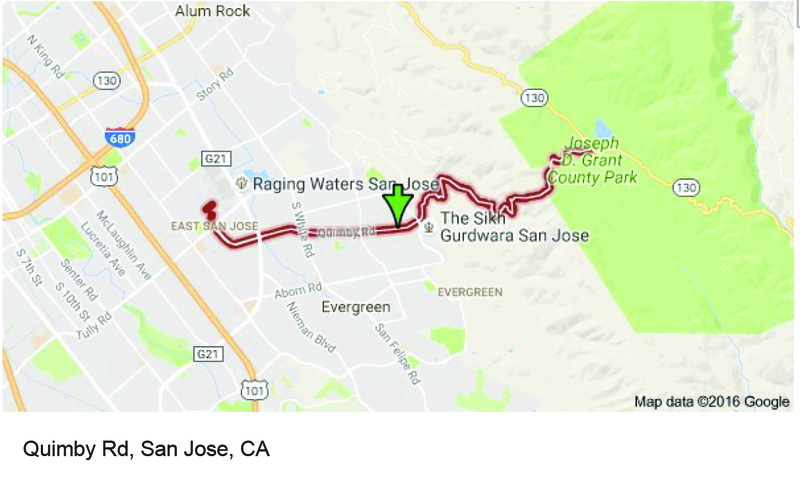 I couldn’t find it on an atlas map, but Evergreen historian and trusted source, Colleen Cortese, has it closer to Coyote Creek than Silver Creek, but hey. It served this whole area. Silver Creek Road picks up again today near a Spring that contributes to Silver Creek’s Watershed. Springs are created by the geology in the surrounding areas, not the gathering of water heading down the slope like lots of Evergreen’s creeks. Silver Creek Mines are also located off of this portion of Silver Creek Road. 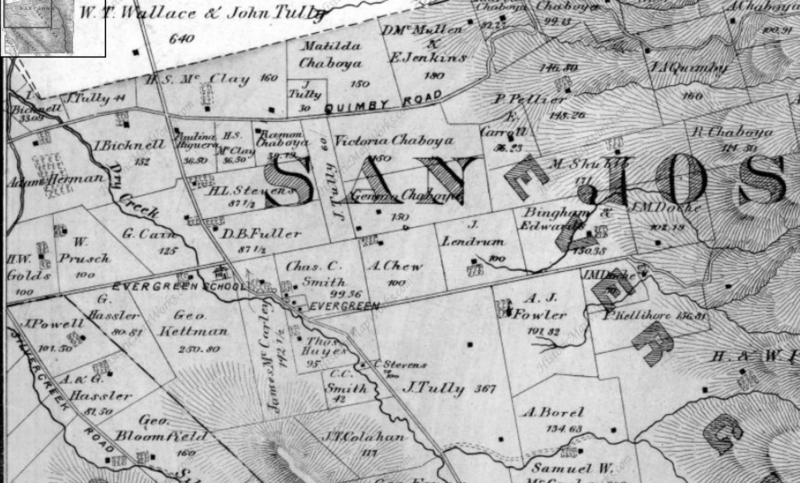 You can see North Almaden Mines here in this 1890 map above. 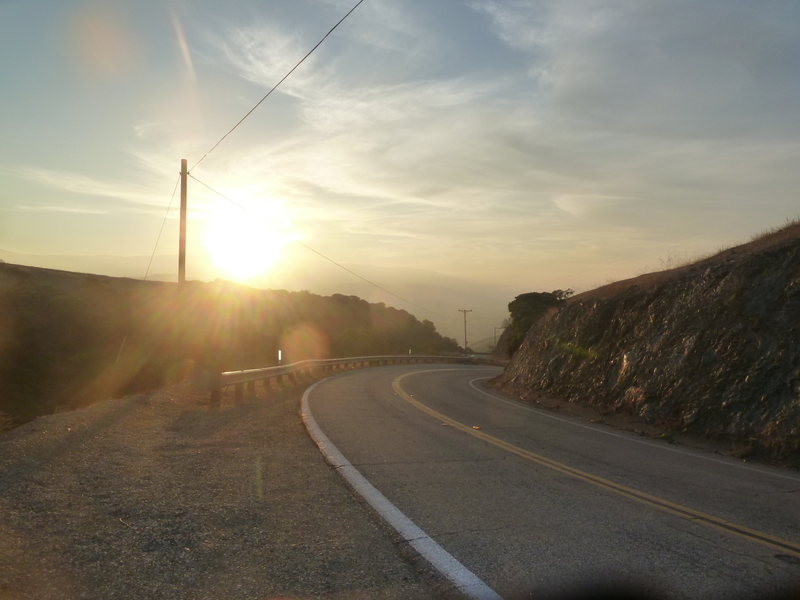 This same road used to connect over the hillside before its development. Bradford Investment was involved with the Mining Industry in those days, establishing Silver Creek Mines, and would’ve built this road through to his jobsite. You can see the entrance off San Felipe Road. 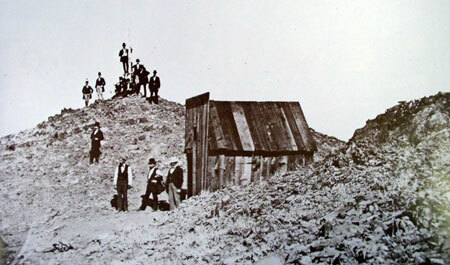 The Hellyers and Piercys too would’ve mined in Silver Creek region. 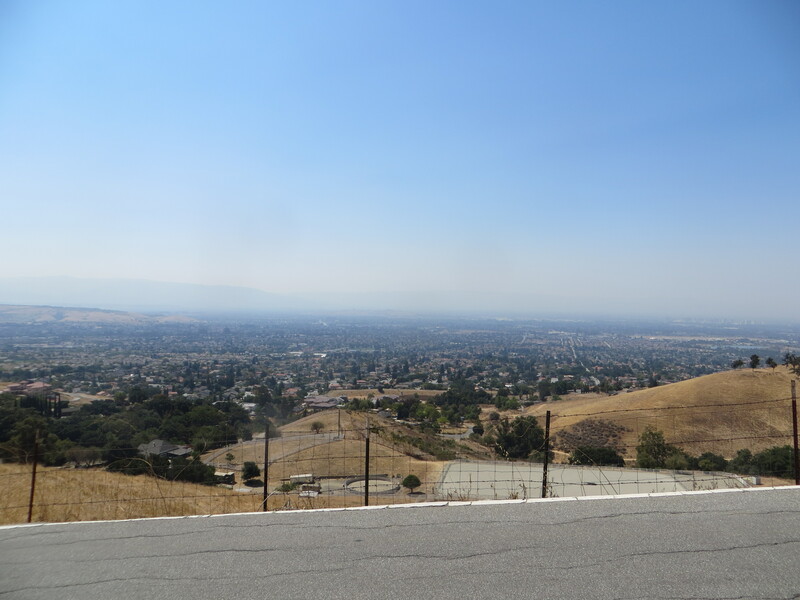 Brothers George and Daniel would choose opposite sides of Coyote Creek along the border with Edenvale, another small township. 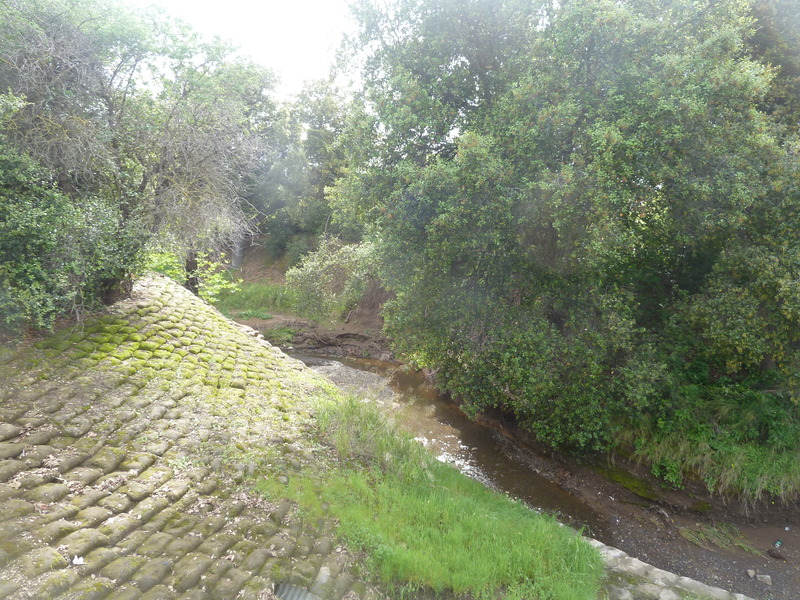 Coyote Creek creates the western most point of Silver Creek and therefore Evergreen. There’s a wicked rumor that someone accidently contaminated the Creek with quicksilver and their orchard turned to silver. This may or may not have happen to oak trees in the area. Until Silver Creek High School opened, students had to travel outside of Evergreen to go to school. The Creek would’ve existed where 101 lies now near the school. 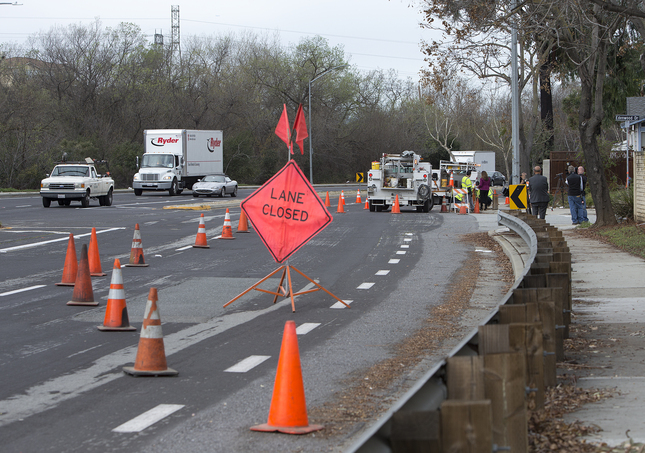 Many sections of Silver Creek, the Creek and the Road, have been paved over for the 101 Freeway in the 1930-40’s and built on top of for Silver Creek Valley Country Club’s construction in the 1990’s. 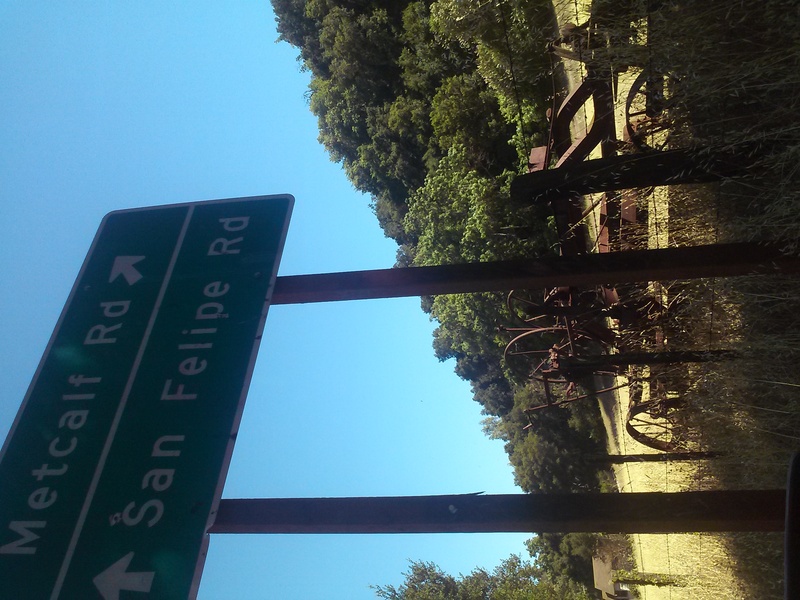 Silver Creek Road which once followed the creek’s path also met up with San Felipe Road in the early 1900’s. Silver Creek is a giant chunk of Evergreen, like a third. It’s presence influenced people to settle in and raise their farms and families here. 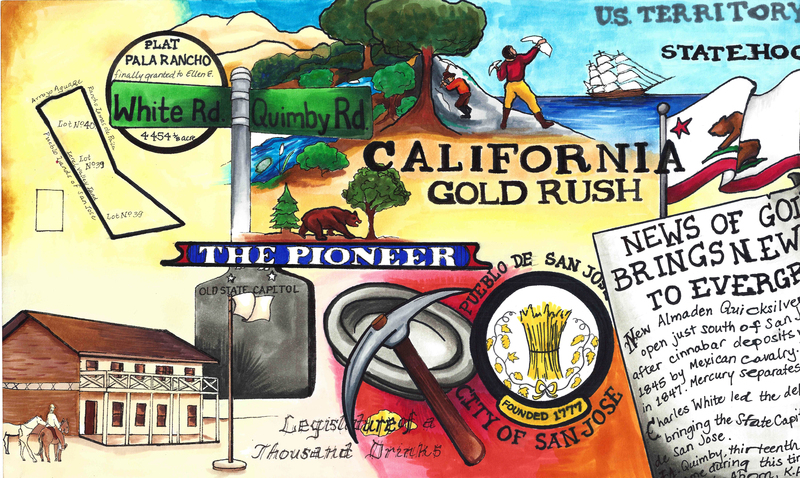 Silver Creek is older than any Country Club, Park, or School. 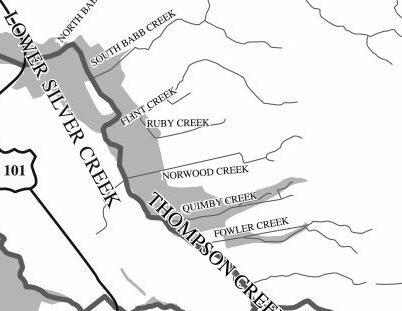 All this time, I thought it just described nearby Dry Creek / Thomspon Creek when this was the larger watershed hooked up to Silver Lake or now Cunningham. 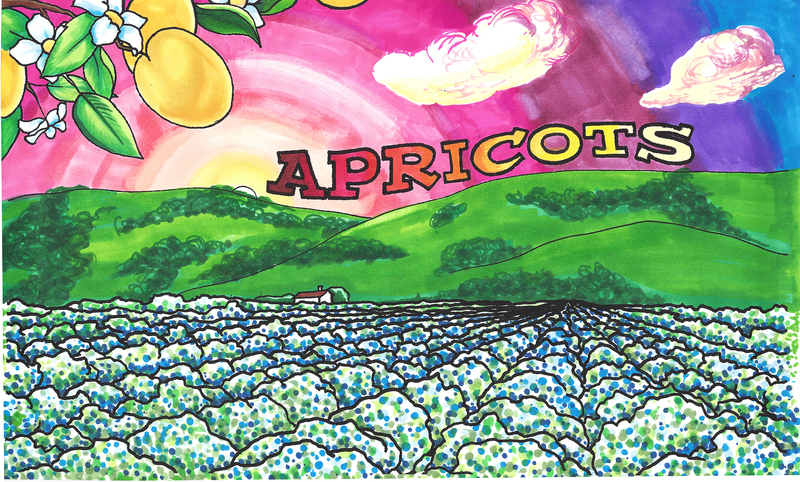 Here’s the Artwork featuring Silver Creek. Have you hugged an Oak today? 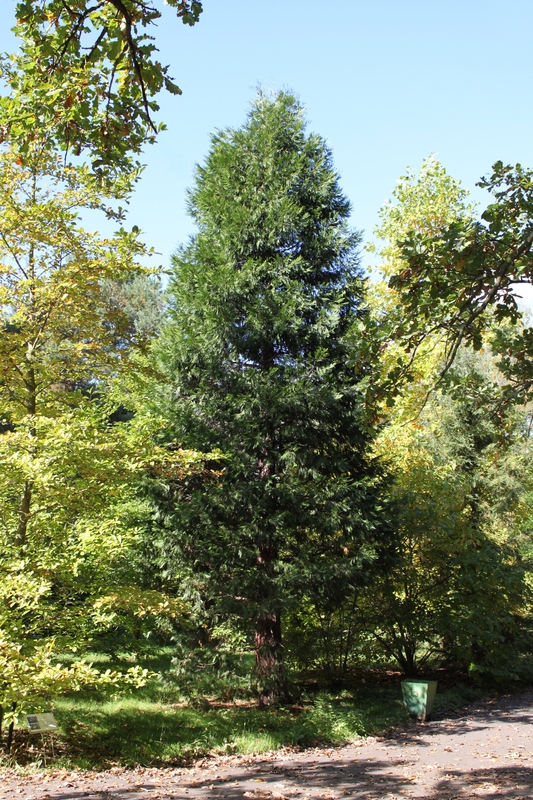 When you think of “evergreen” and trees in general, chances are you would think of Christmas trees or redwoods. Evergreen’s trees are not this connotation of evergreen. In our dear Evergreen, this couldn’t be further from the truth. 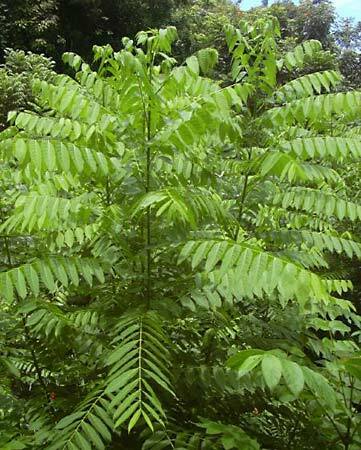 In fact, our indigenous trees would inspire the name of the township, the communities surrounding it and many of its public schools today and not of them are coniferous. The natural beauties of Evergreen would inspire poets and artists throughout its history. These trees too are evergreen but the kind we generally think of. 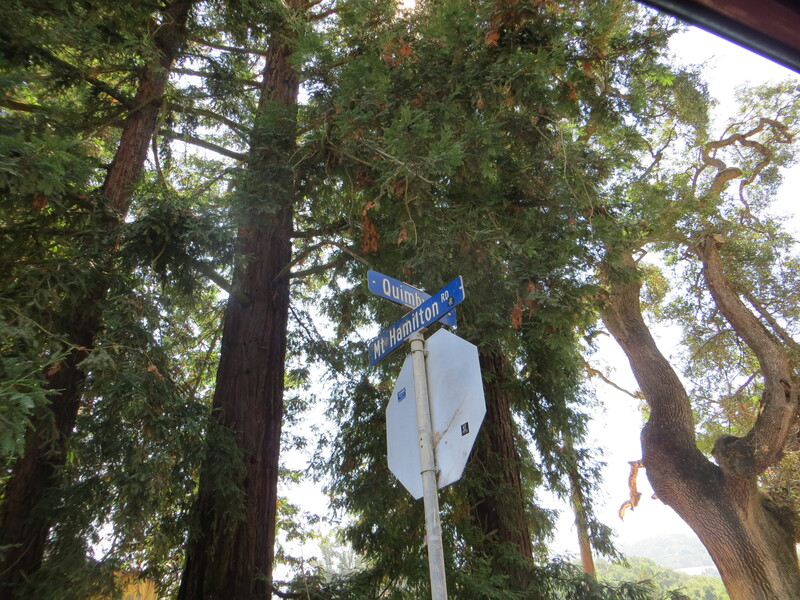 Misnomer: Evergreen School District’s old logo may be Evergreen trees, but that might have come from the commemorative redwoods planted for the Evergreen School’s first teachers, like Markham and KR Smith. 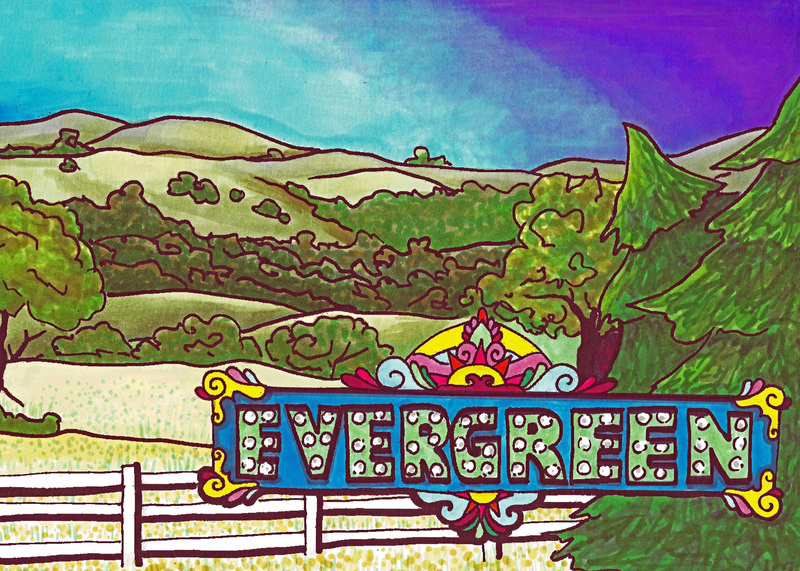 Evergreen was named for its lush, green hills covered in oak trees. 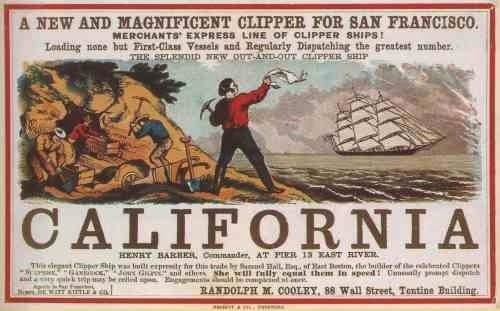 I think if the name Oakland wasn’t taken in California, Evergreen might have been called Oakland. 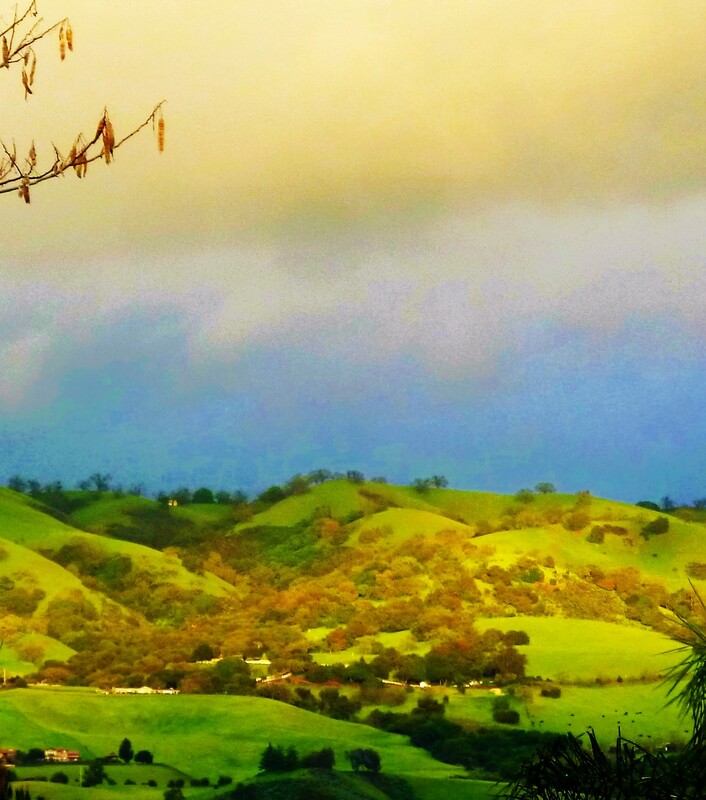 It’s all rich oaky grasslands with natural creeks which made hills green year round before farming irrigation. Evergreen definitely has some gigantic, wicked oak trees today in the oddest places amongst modern homes and along every creek, of which we have many. There are different species of oak trees around Evergreen. The oak grove along the Quimby Creek would give the name to Quimby Oak Middle School, built in 1968. It was built before Millbrook Elementary, built in 1985, which was named after a mill along this brook some 150 years old. Millbrook was built on the property owned by Henry Lambert Stephens, Evergreen pioneer since 1866. In fact, There’s a haunting oak tree in front of the former mill owner’s house today. Don’t worry. I’ll get you a better photo. This oak grove made way for houses and orchards. Quimby Oak Middle School is more likely the Victoria Chaboya property, not Mayor J. A. Quimby’s. 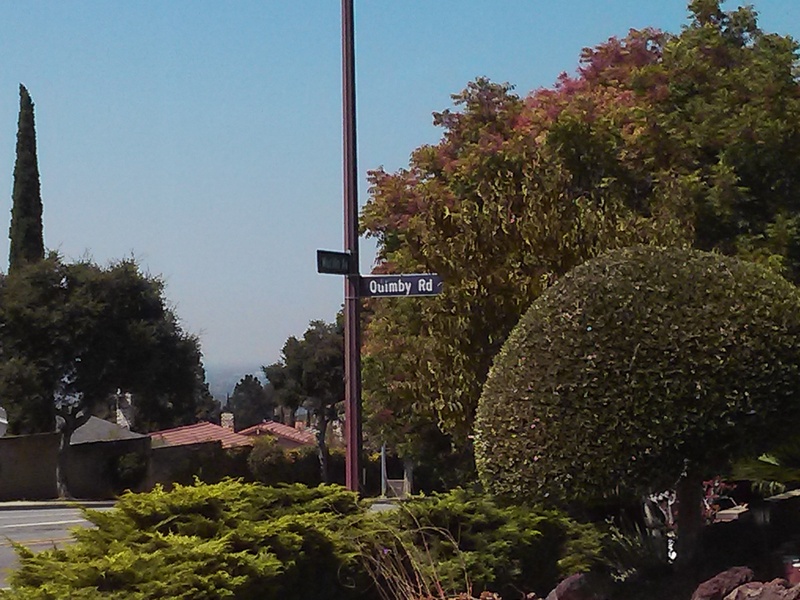 He would’ve lived above Ruby Avenue. The Honorable Judge Jerry Kettmann would show me oak trees in Evergreen that were over 200 years old. These would’ve been well grown in before the Judge would tend the Kettmann Family Ranch. 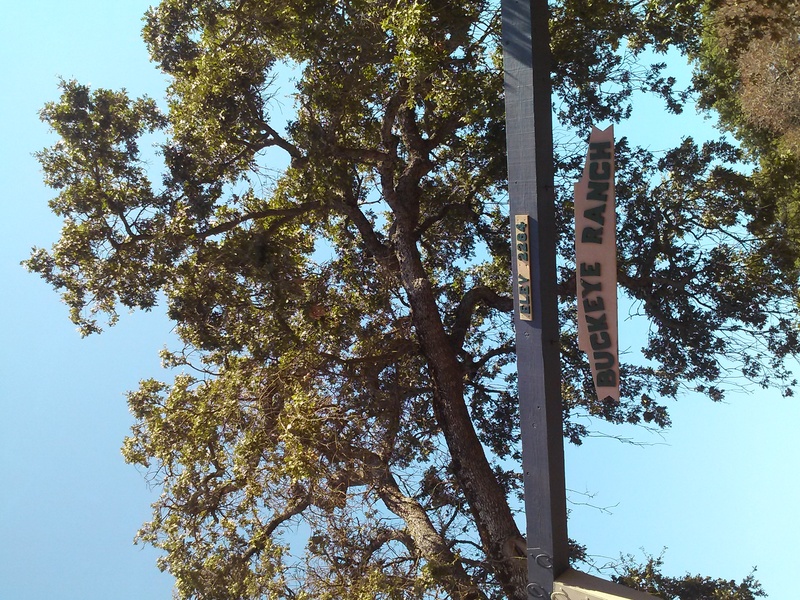 These oak trees served the purpose of landmarks, deciphering the locations along the Kettmann ranch in a developed neighborhood of Evergreen. 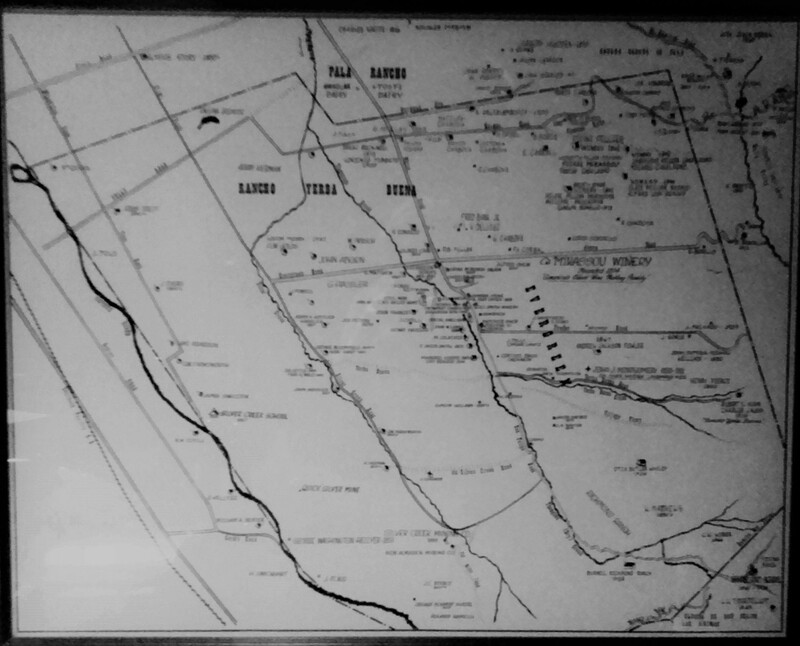 The neighborhood grew up around Kettmann Ranch in surrounding Cadwallader and Smith Subdivisions. This was once a large farm, actually two adjoined farms, in Downtown Evergreen. The town of Evergreen must have looked very different back then. These space oaks would be unchanged relics of a time before ours. Silver Oak Elementary School, built in 1994, was named for a particular tree that was silver in color up on the hill above the school in the 1990’s. The discoloration ended up being an illness this picturesque oak would come down with. Silver Creek Country Club removed the tree because it wouldn’t continue to be safe with the moving of earth around it that home building required. 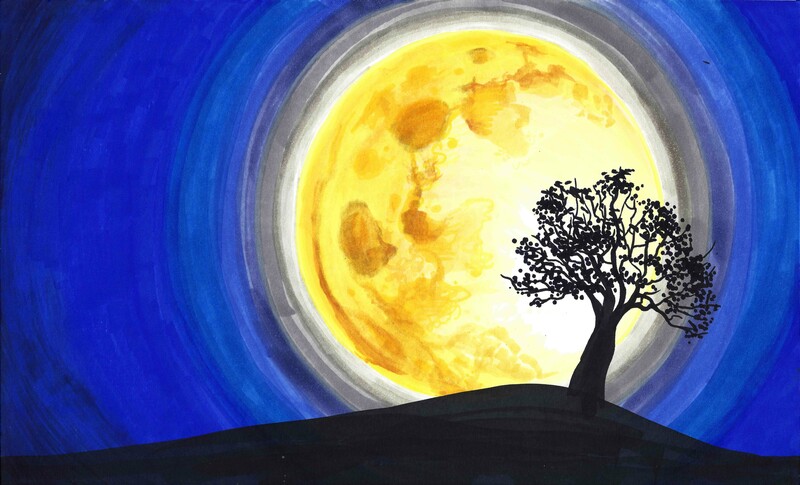 Never underestimate the beauty of a single, stand alone oak, though. This is such a common theme in photography from our community. The motif continues to inspire people today. 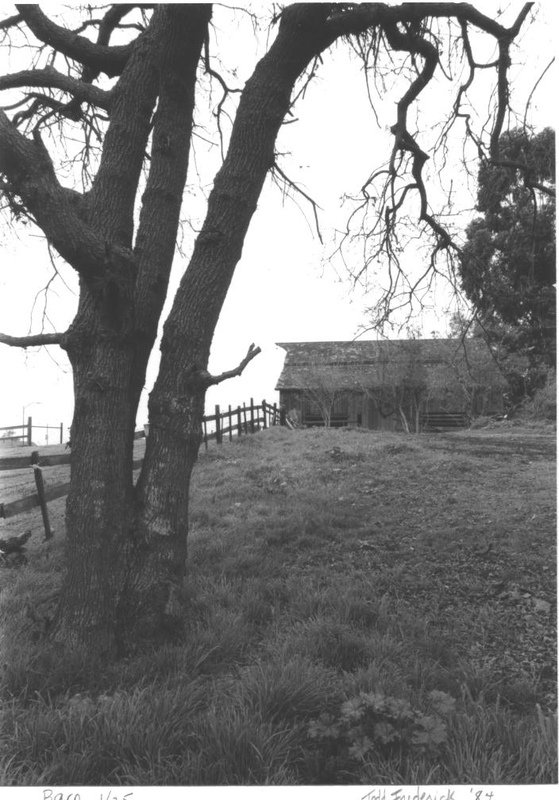 Holly Oak Elementary School would be named for the trees found along Dry Creek, renamed Thomspon Creek in 1974. Hollies wouldn’t grow all over Evergreen. There’s also a Coastal Live Oak species, which looks more similar to holly, that grows along that creek specifically. I’ve enjoyed many a bike ride through this area and have gotten scratched. There’s also a shrub species, Heteromeles, which is also knicknamed California Holly that I certain recognize around Evergreen. Maybe these two tag teamed the Thompson Creek creating a Holly Oak grove. Or it’s something completely different. Holly would also have another meaning like Hollywood. Holly would mean magical. Either these were magical oaks or these were holly-like oaks. John Aborn would’ve pioneered this neighborhood and raised his daughter here, advocating for the rights of homesteaders and a defendant of Chaboyas. The varieties of oaks themselves are evergreen, so it’s only natural so the name is only natural. Evergreen hosts a number of species. 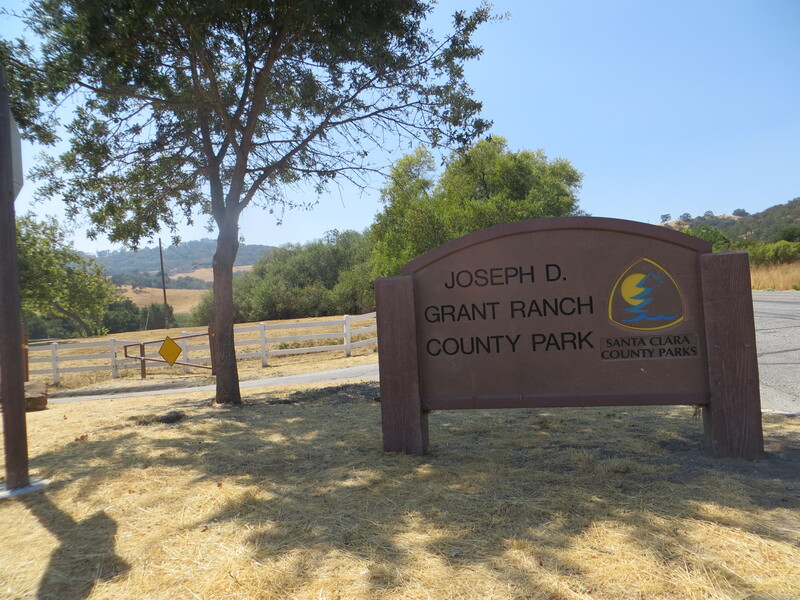 “Blue Oak” Natural Reserve is tucked away beyond Joseph Grant Park to observe one of our species. Valley Oak with distinctive leaves would prefer lower elevations of Evergreen. 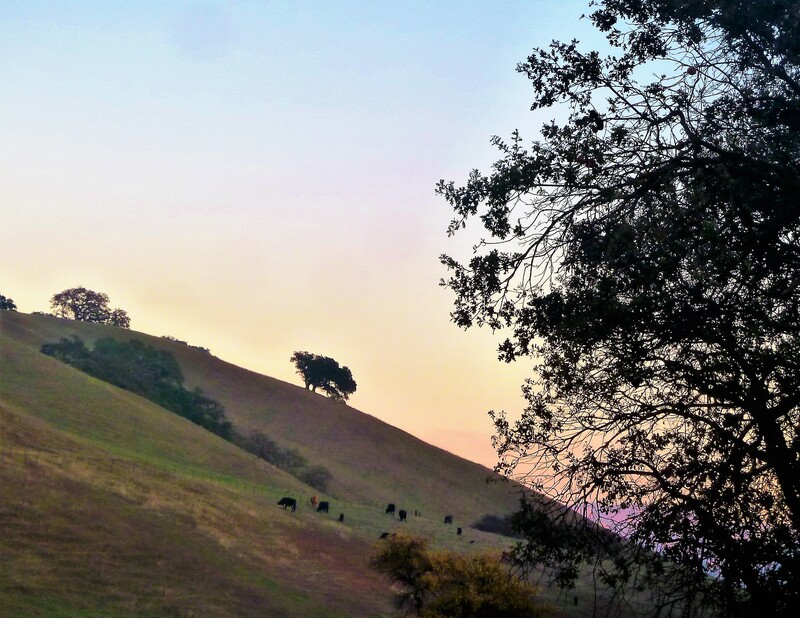 Creeks and natural springs kept grass alive on the hillsides year round. 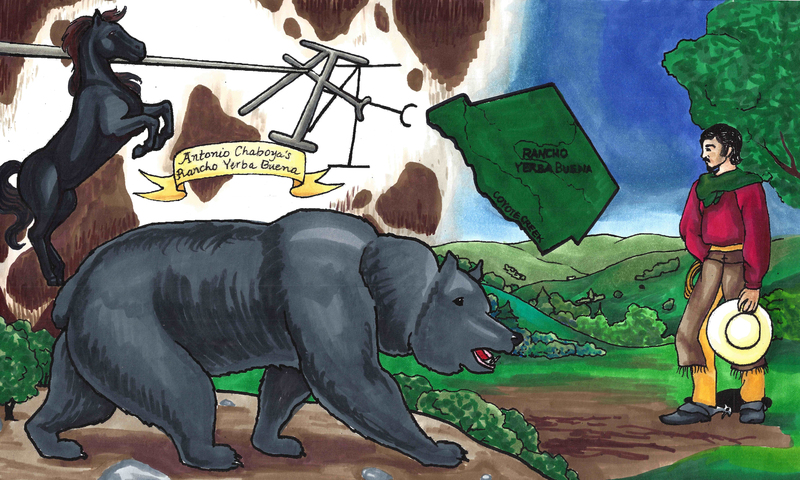 Chaboya’s cattle ranching business wouldn’t have changed a lot of Evergreen’s landscape. 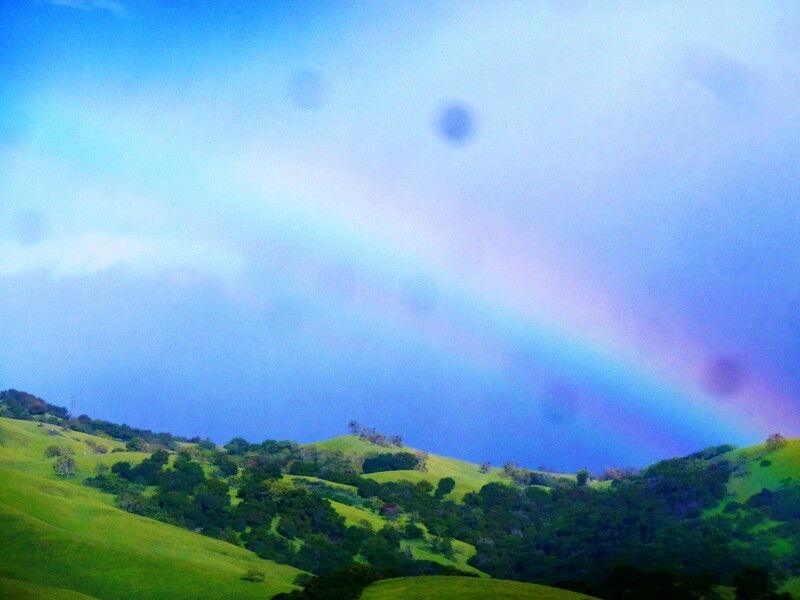 With so many green trees, and rolling grasslands, the place begged the name. The word “evergreen” simply meant green all year round. 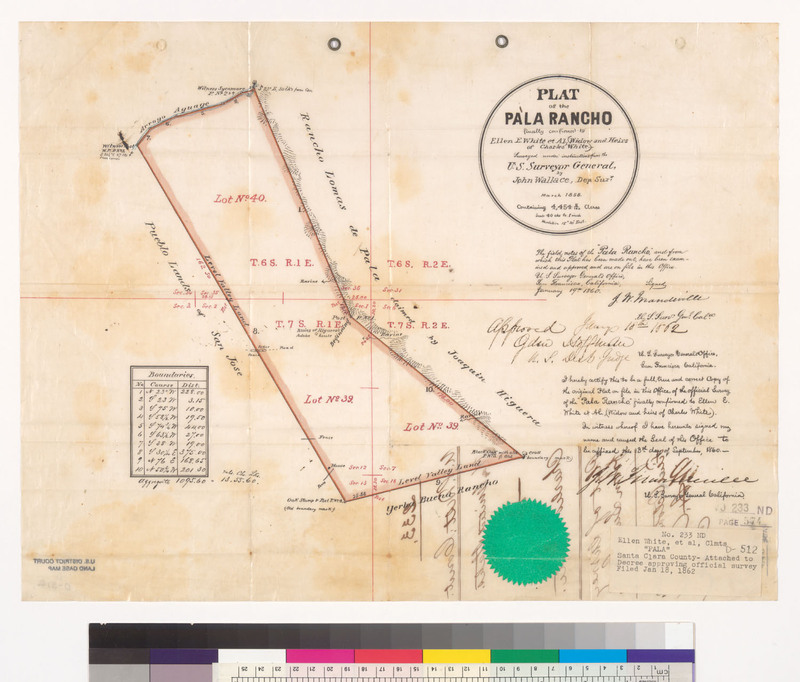 In fact, Antonio Chaboya would mark Rancho Yerba Buena boundaries using cattle brand and the oak trees. 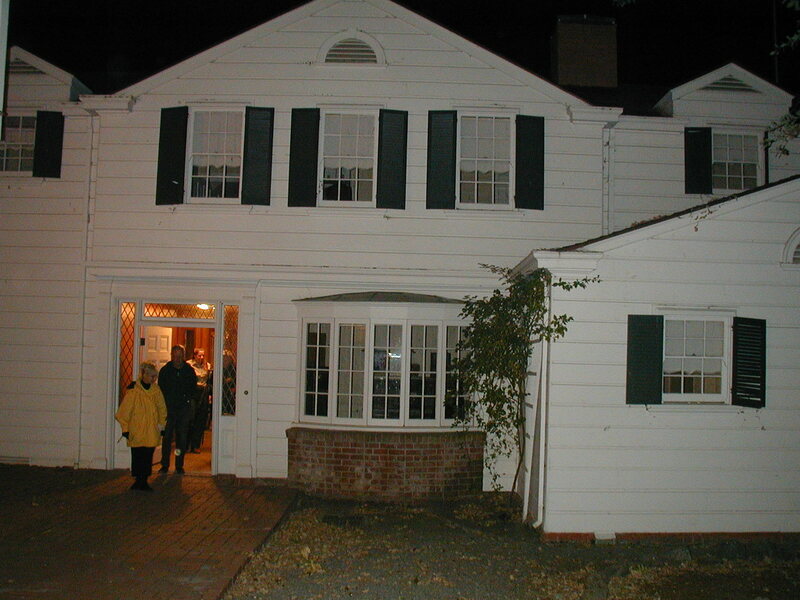 The Norwood neighborhood would get its name from Northern woods in the township of Evergreen. The map to the left predates the avenue, however the avenue exists along this Green border. It’s no coincidence. The Norwood and Quimby Creeks would keep this area heavily wooded, and that element can still be felt there today. 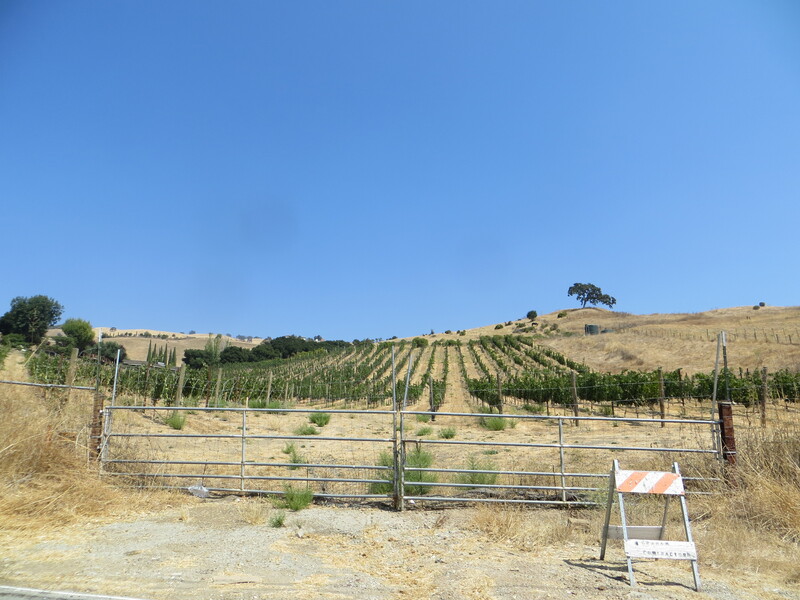 This hillside would’ve been cleared for orchards or vineyards in the mid 1800’s. I’ve gone on many drives to connect with Evergreen, one of them through this neighborhood, and our oak groves are a continued point of inspiration. Cedar Grove Elementary was named for a natural grove of cedar trees. 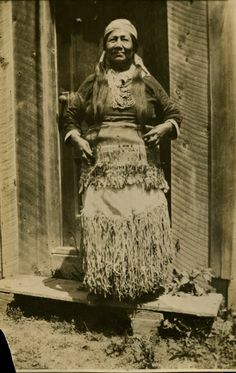 California Cedar, or Incense Cedar, could have been indigenous to Evergreen and this Northern wooded area. That’s this one on the right. This coniferous cedar grove would’ve been a part of this larger forest known as Norwood. 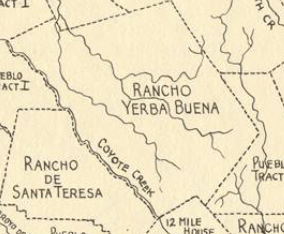 If it’s indigenous, it was a natural boundary for cattle herding and for the Ranch of Yerba Buena, you can see it on the Chaboya map. 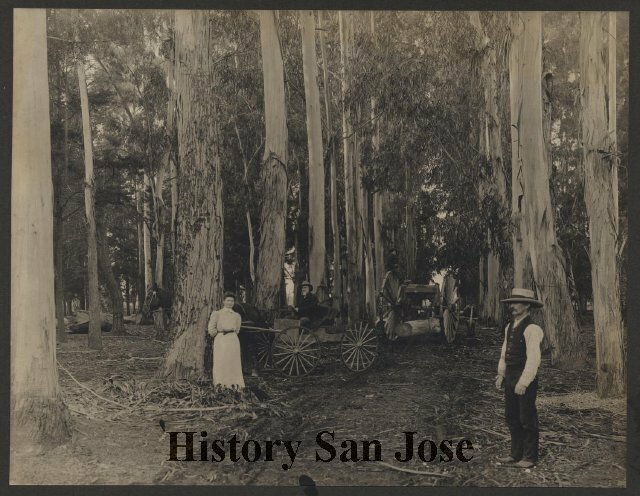 Cedars could’ve been planted along San Felipe Road to provide shade through this area when Spanish settlers founded Mission San Jose in 1797 and possible when Mission Santa Clara was founded in 1777. 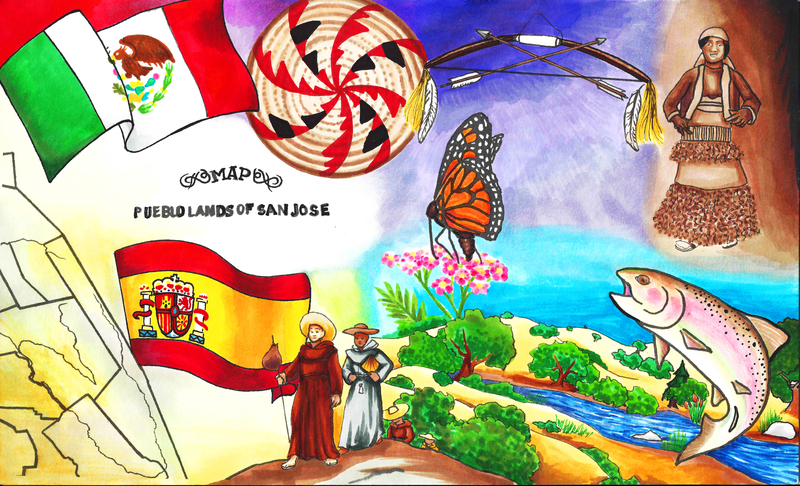 You can see them on the San Felipe route in the old map here and ought to be this area with doubled up trees. 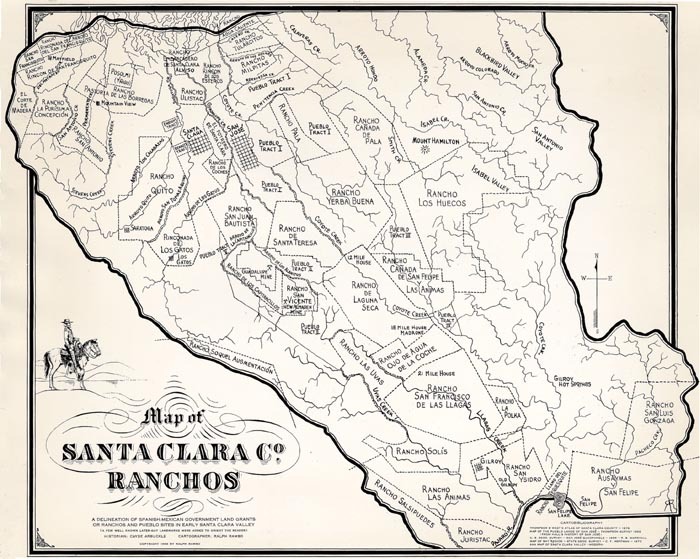 Cedar Grove may have been planted as early as 1821 by the Chaboya family to reinforce the border between Yerba Buena and neighboring ranchos or pueblo lands that eventually turned into East San Jose. In the 1800’s, this would have been a popular source of lumber for building. Norwood Avenue would be established between 1876 and 1899. Cedar Grove Elementary appears to be located in this John Tully property, once jointly owned in partnership with Wallace engaged in the lumber business in 1876 found at the top corner of this map. It’s quite possible the Tully & Wallace company cut the grove down, build their homes and made way for orchards fed by the natural creek nearby. 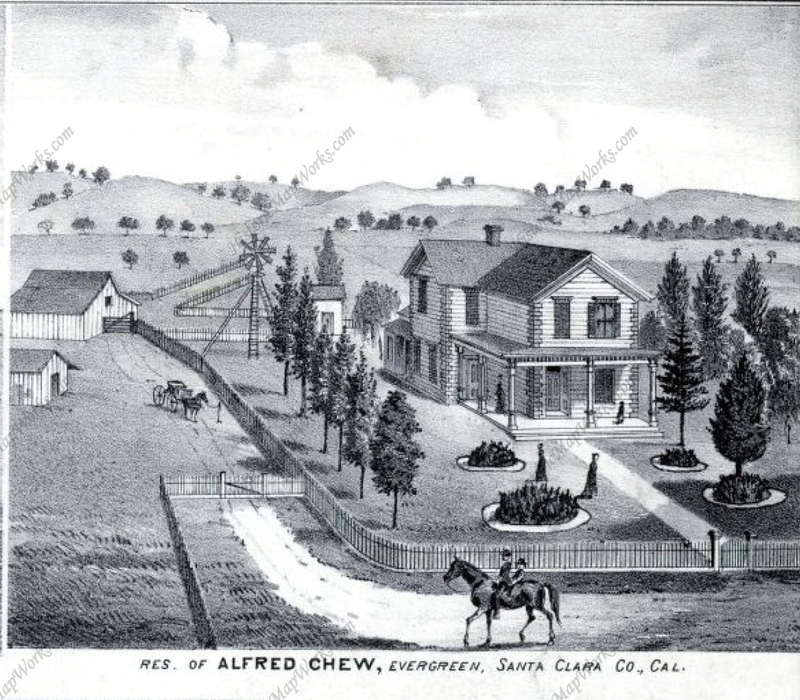 These are cedars seen is Alfred Chew’s front yard. However, looking at all the varieties of cedar trees to find the origin of Cedar Grove’s name, there’s cedar all around us in Evergreen. I never realized how often it pops up now that I know the difference. I think this is a cedar in my own front yard. Seen here to the left, this cedar tree is a staple of Evergreen today. Cedrela or Cigar Box Cedar species is all over the Evergreen Community today as a decorative tree, especially this neighborhood surrounding the school. This species was native to Mexico, so it is not beyond the realm of imagination that these trees came with the Mexican or Spanish Empires. They’re drought resistant so they’re widely used in landscaping today. Laurelwood Elementary School would be named after a natural bed of Laurel trees. Coastal Bay Laurel, Umbellularia californica, would be prevalent in the Santa Cruz Mountains, but huge laurel groves would cover this area too thousands of years ago. A climate change would shift that evolution and laurels would recede and make way for our oak groves. This event took place all over the world in laurel forests in Mediterranean and subtropical climates. 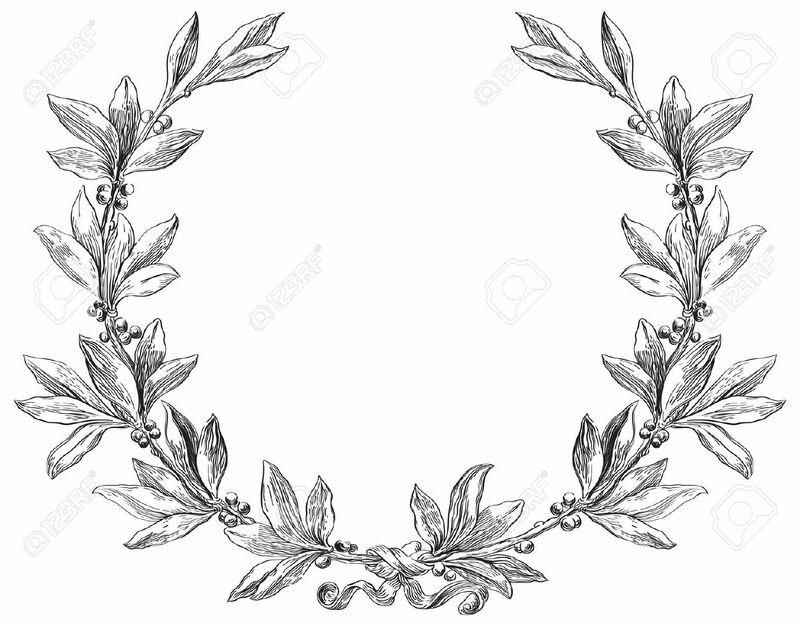 Laurels are most notably the leafy thing behind the ears of many Greek and Roman statues. I hadn’t realized laurel trees and the avocado were relative plants. If a wood or forest of laurels existed in Evergreen in the 1800’s, it would certainly be notable. Today, laurel shrubs and trees can be found on the school’s campus. Some of these shrubs around Thompson Creek behind the school would appear to be flowering, blossoming laurel bushes. 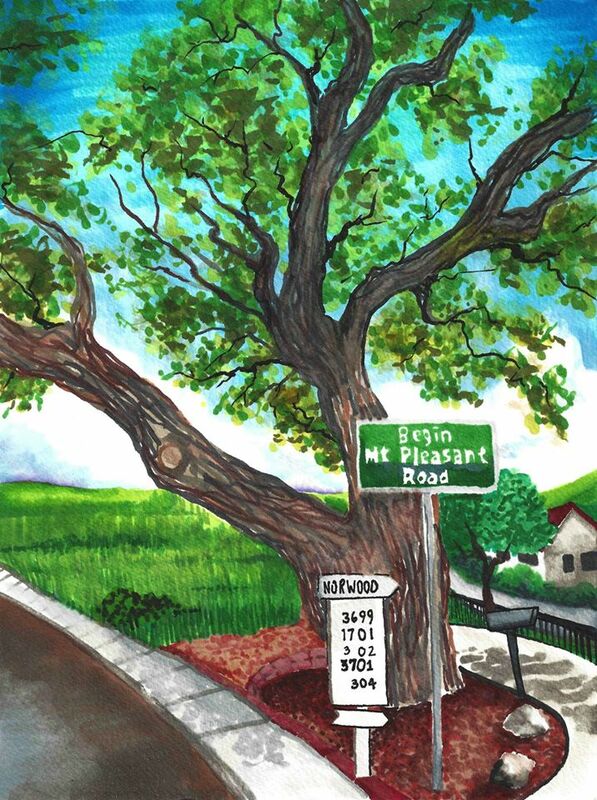 Beyond that, trees and varieties continue to inspire the naming of streets and neighborhoods. “Glen” and “dale” all refer to clusters of trees. That’s right. 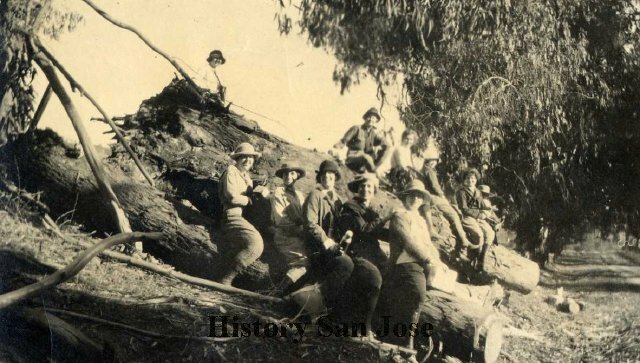 Willow Glen was named for a cluster of Willow trees, also a township founded approximately the same time as Evergreen. Evergreen was named for its out of world beauty and would draw tourists to its trees. 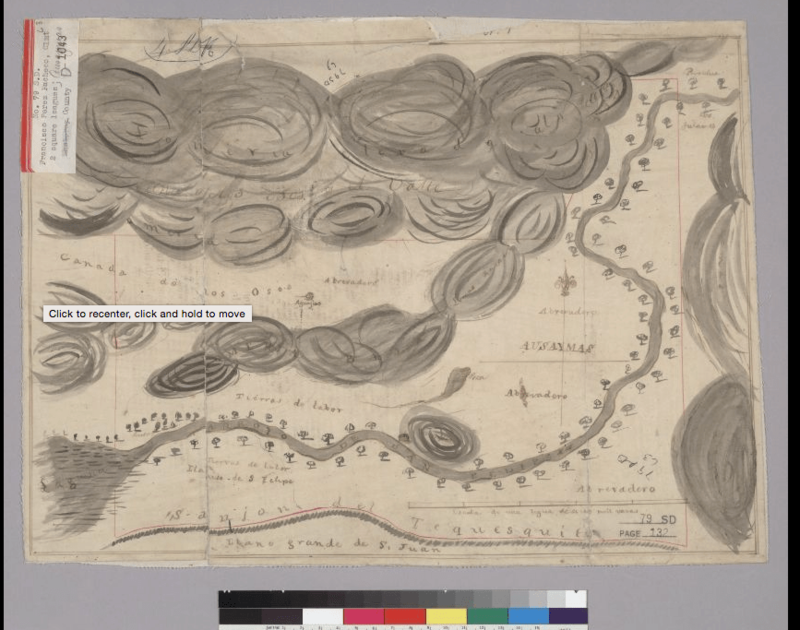 The Creeks created these groves, but would later empty into the orchards’ and farms’ irrigation systems. 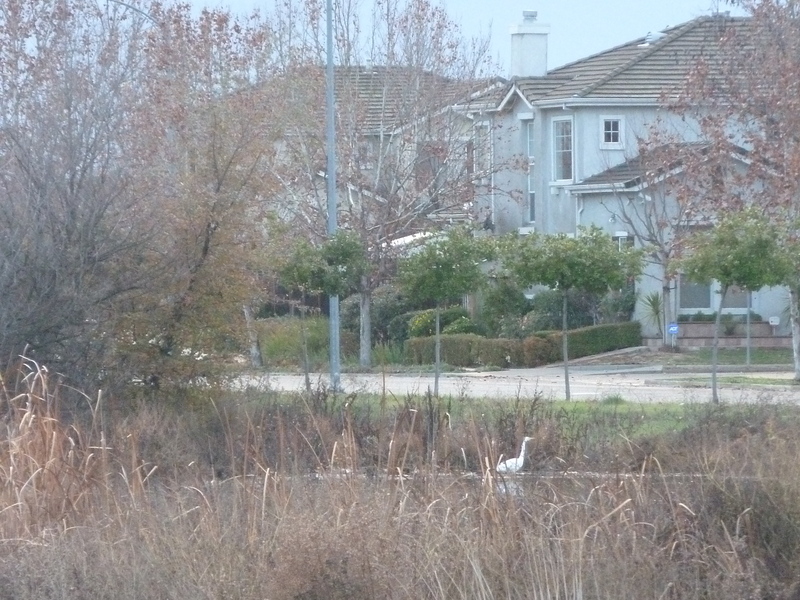 Before that, Lake Cunningham, then Silver Lake, would flood into creek beds. This would continue to be a problem for the Evergreen Township, but a win fall for the trees. 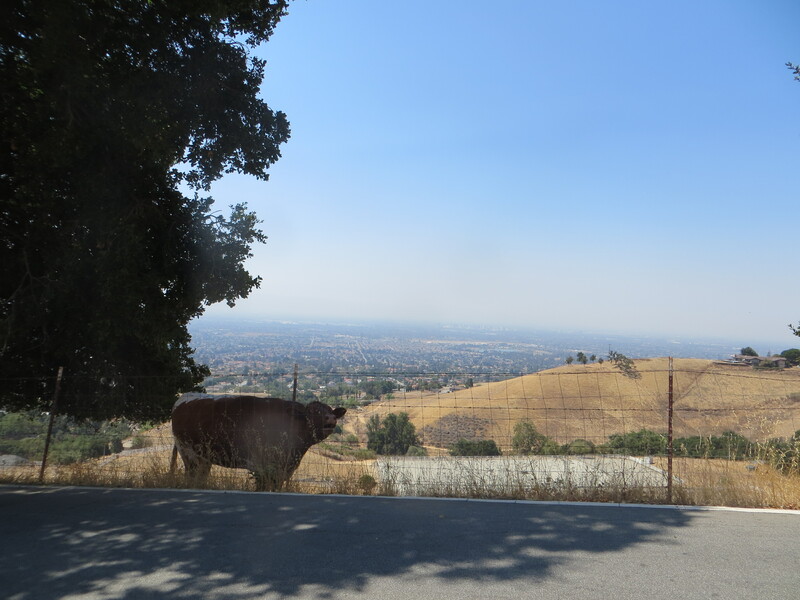 If you’re ever curious about the name “Evergreen”, just take a drive through the hills. You’ll get lost in the natural wonder in your backyard. 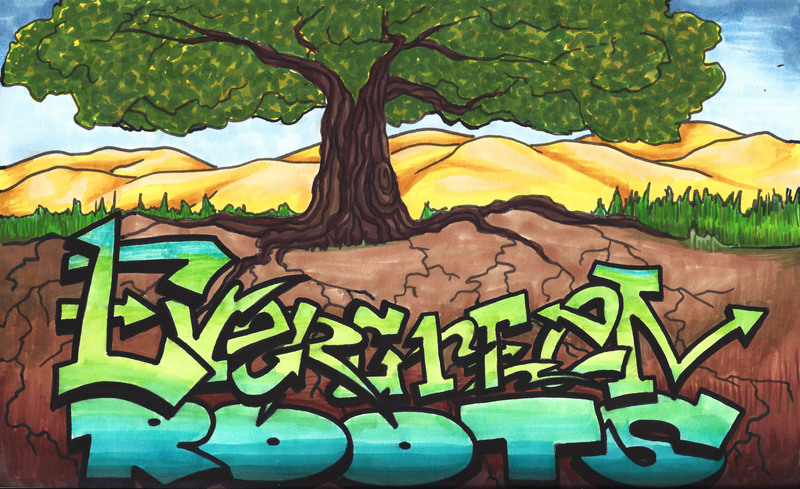 To say our roots are Evergreen is an understatement. 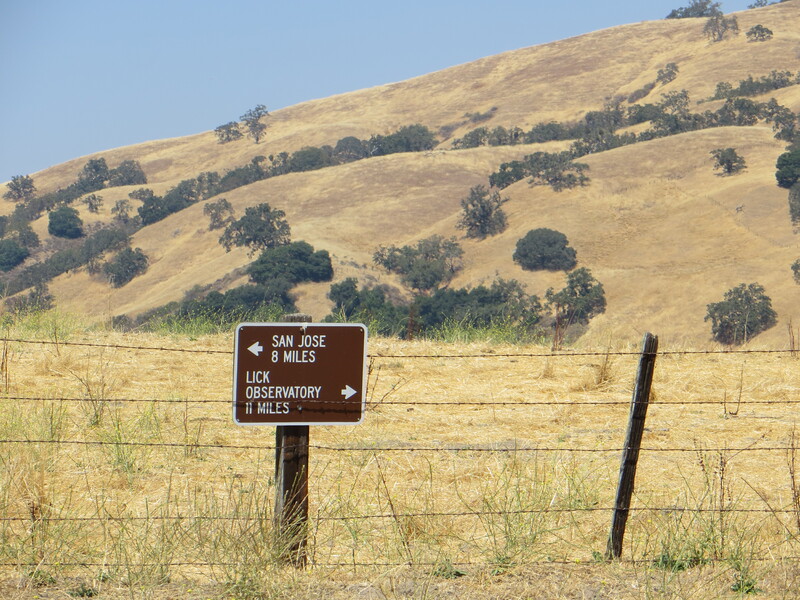 Silver Creek Valley Road, park at the shopping center and take a little walk. Evergreen – A Vacation Destination? 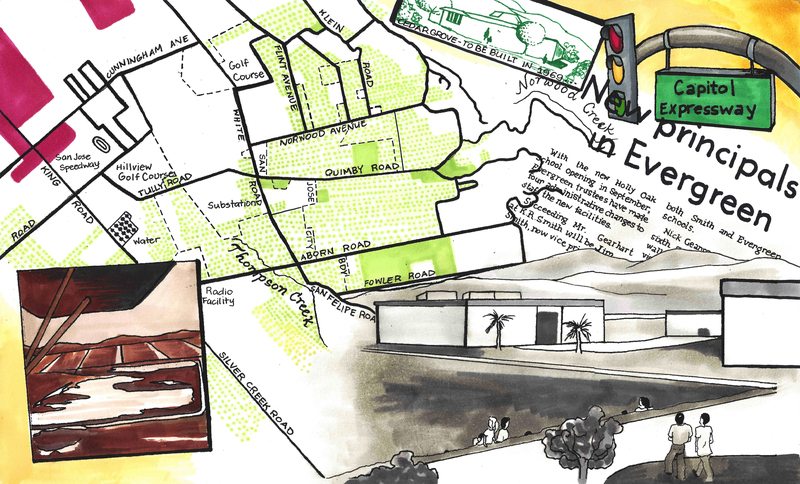 Part of the joy in this project has been trying to imagine Evergreen of yesteryear. How I’ve initially ingested the information is through the visuals which develop throughout time. 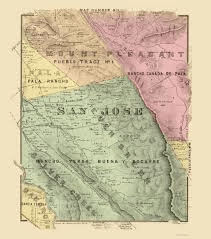 The Pueblo de San Jose was established in 1777 as the first secular settlement in California’s infancy. 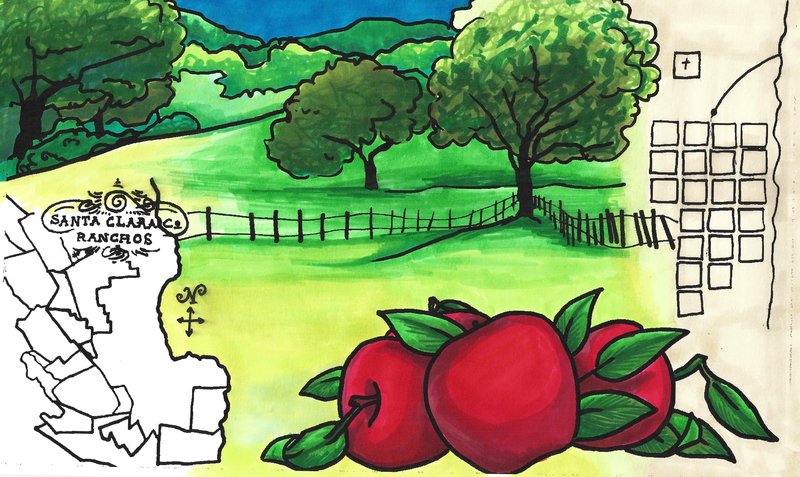 Small towns and communities would grow up around the city in order to feed and sustain it. 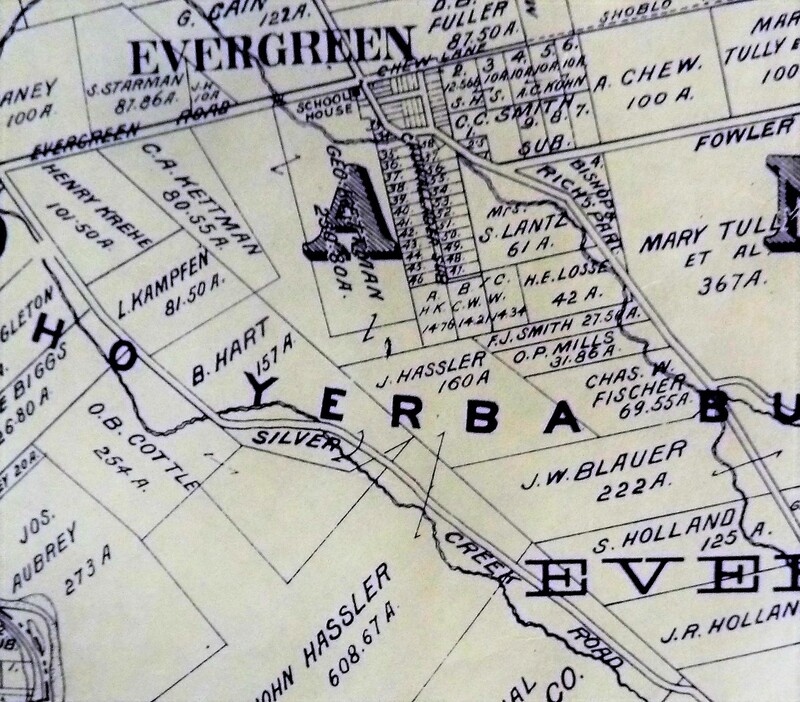 Evergreen was certainly one of these communities, with its first recorded landowners being the Chaboyas in 1821. 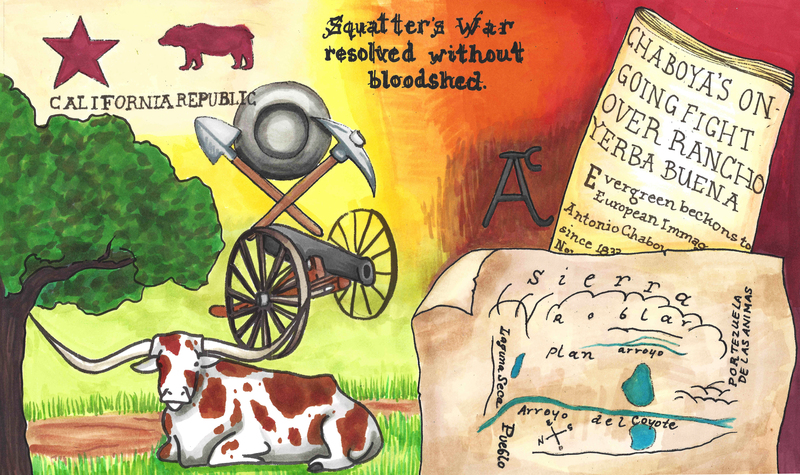 The Chaboyas were cattle ranchers and orchardists. This means much of the area was untouched in years that the cattle didn’t graze across certain acres. 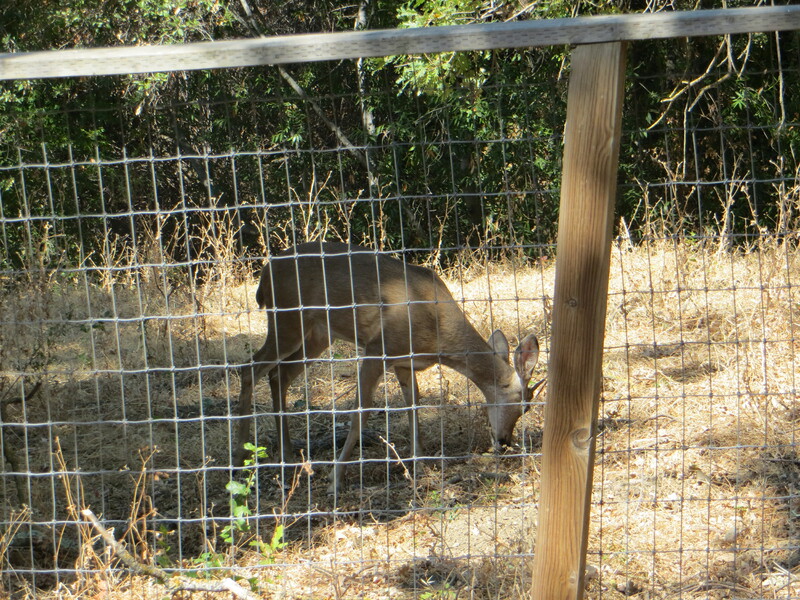 Grazing in general is a natural grass mowing. 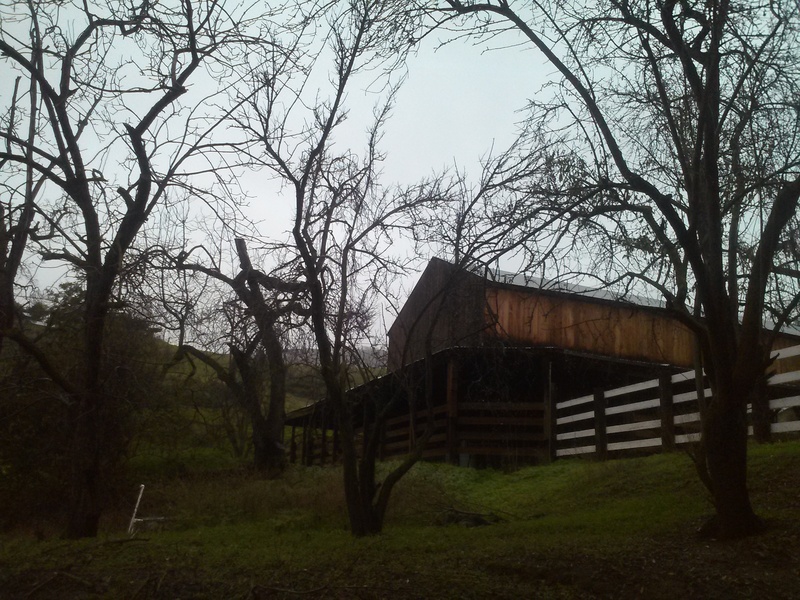 The land itself was scenic, beautiful hillsides drenched in trees and creeks in the 1800’s. 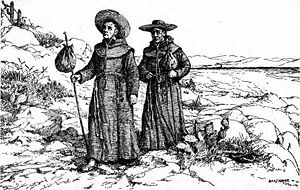 It was described at 8 miles outside of the Pueblo. The relationship early landowners had with Evergreen into the 1850’s was very different than what we think of it today. 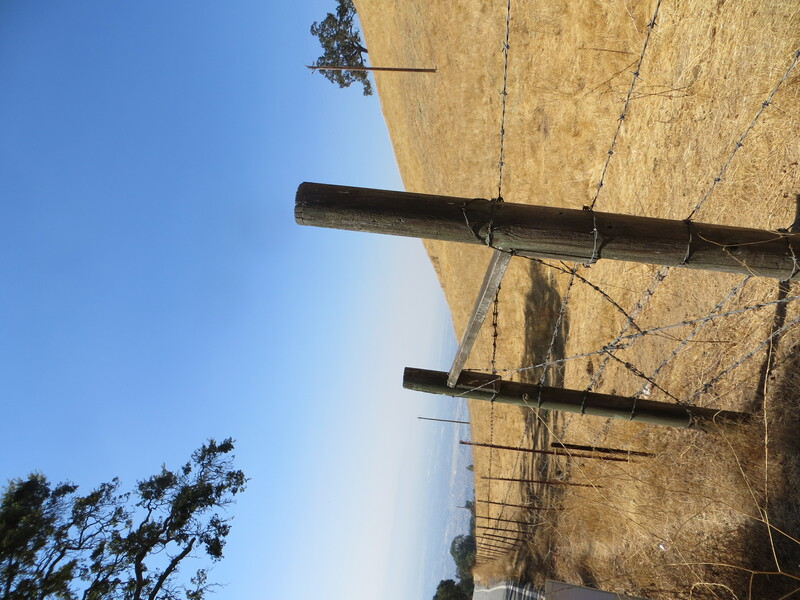 If you were a wealthy farmer, you had a house Downtown – or rather in the City of San Jose – and a vacation or second home in the town of Evergreen. 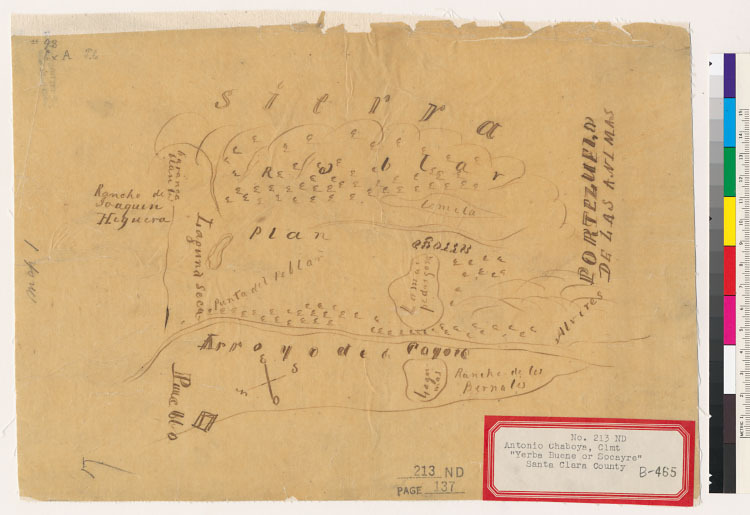 The Pueblo’s plots were close together and very similar to how it looks and feels today. 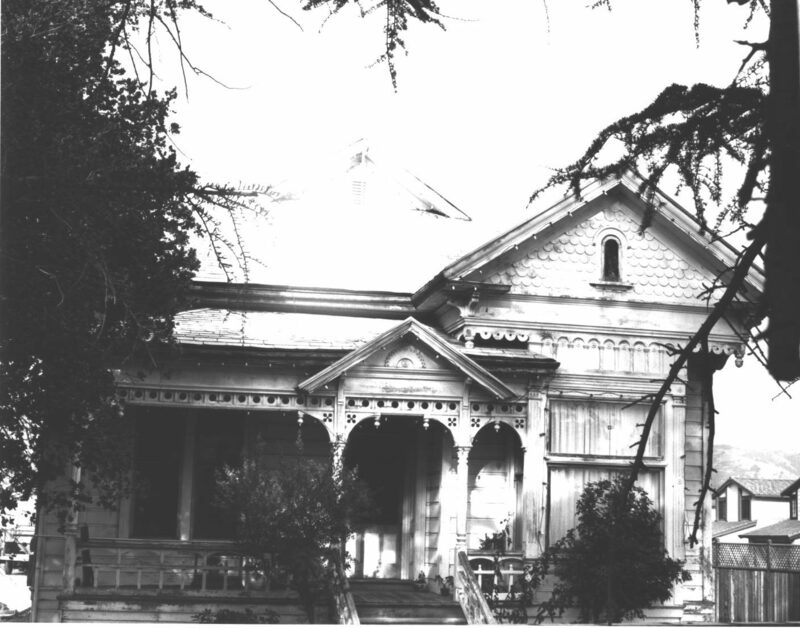 Victorian homes can be traced back to their original owners or builders. 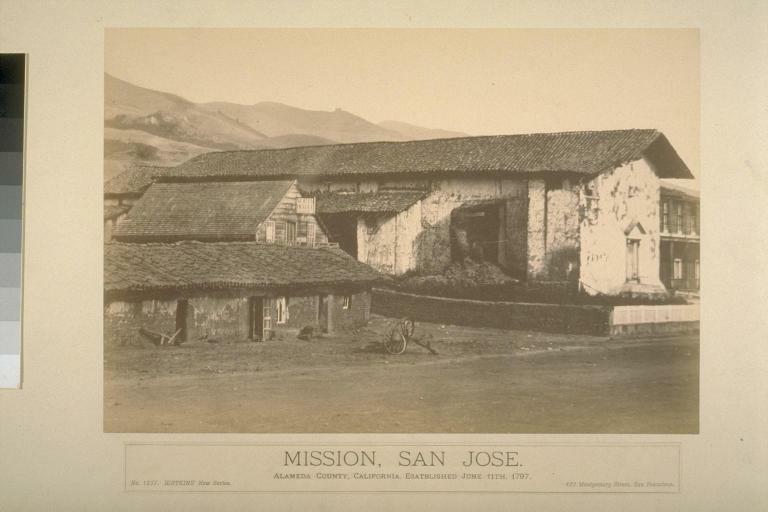 The City spread from an epicenter at First Street and Santa Clara Street, being named after the Mission of Santa Clara founded in 1776. This was certainly true of the Tullys, Quimbys, and Cadwalladers. Shown here are the super trendy Tullys, Rose and John. 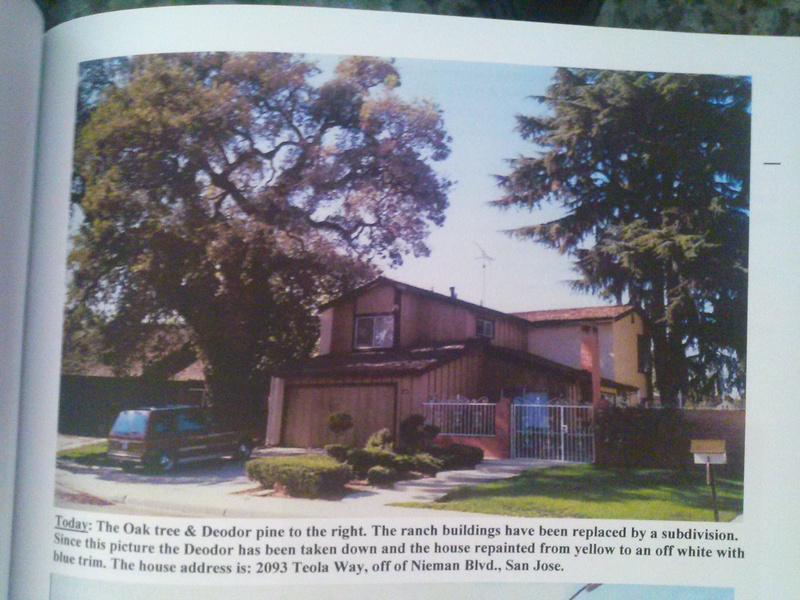 The Pelliers would own downtown then purchase one of Evergreen’s largest ranches off Quimby Road and Norwood Avenue. 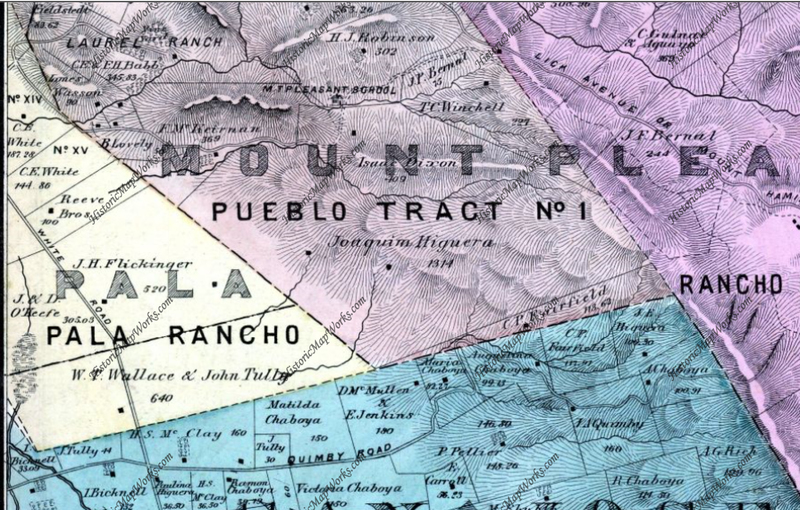 Wealthy landowners would have large homes in Evergreen and a pueblo plot, or small lot, in the City. 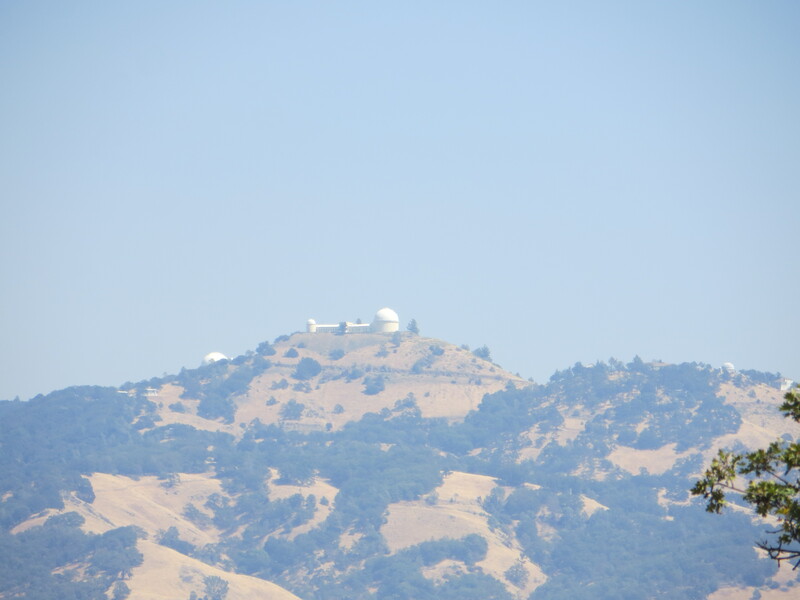 John J. Montgomery would come to fly from Evergreen’s pastoral hillsides while teaching at Santa Clara University. This was a several hour ride on horseback to the town Evergreen in the day, with limited roadways and no highways, at the time. 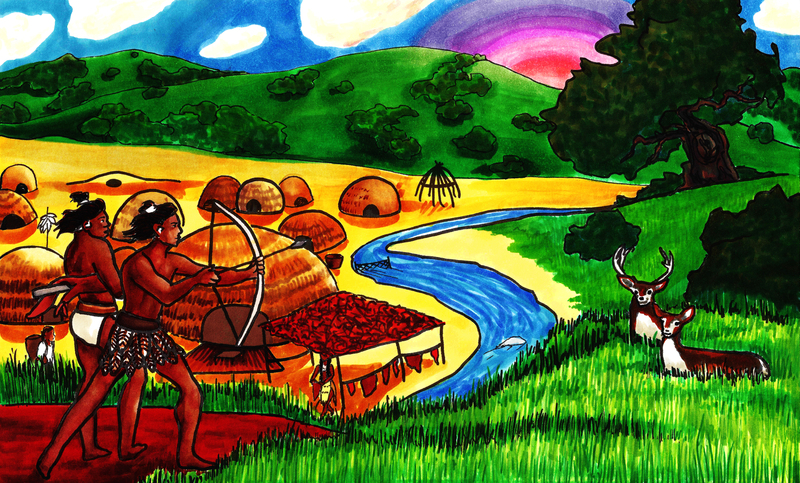 People from elsewhere would travel to Evergreen for a slower paced lifestyle, as well as to tend their lucrative farms. Farmhands would stay on site and the owners would travel back and forth to their downtown stores and homes. 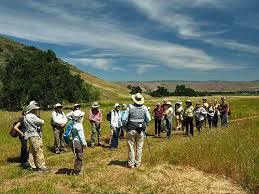 Evergreen’s farming community and nature would also bring tourism to a young Evergreen Village. If you were visiting San Jose, you had to make the drive. Quick history lesson, Gutenberg’s printing press would be invented in 1444 AD. Throughout the 1800’s the printing press would rapidly improve. 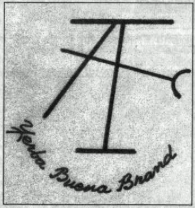 The rotary press would be developed in 1843, while the Chaboyas owned Rancho Yerba Buena. Off-set printing would come around in 1875, when the town of Evergreen was a farming haven. 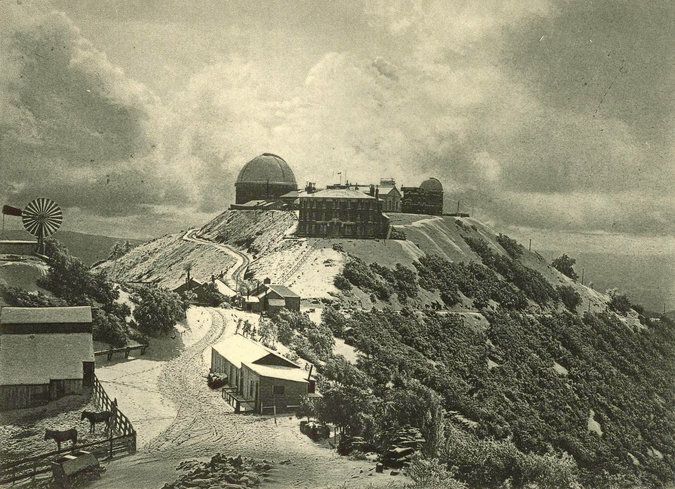 Hot metal typsetting would be invented in 1884, around the time James Lick Observatory was built and William Wehner’s Mansion was constructed. Books and publications could be created and distributed much quicker and for less. 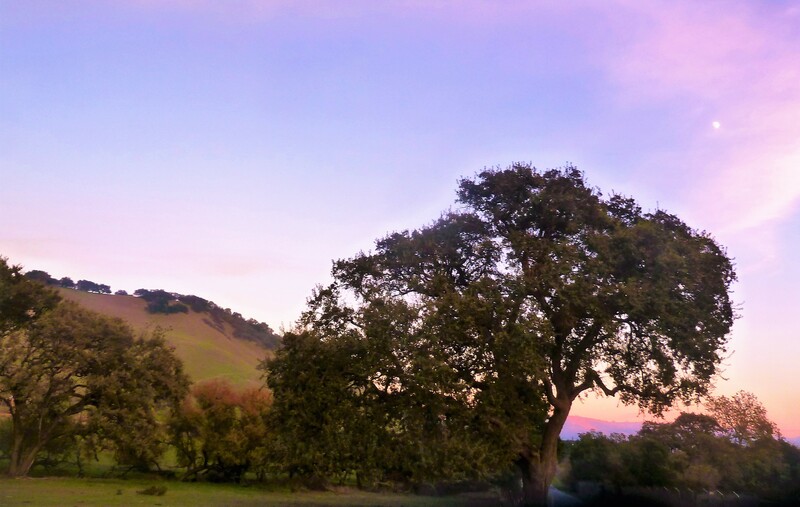 Evergreen being popularized by books and newspapers, hiking groups would come to experience eucalyptus trees imported from Australia, giant oaks, scenic hillsides and natural creek life. 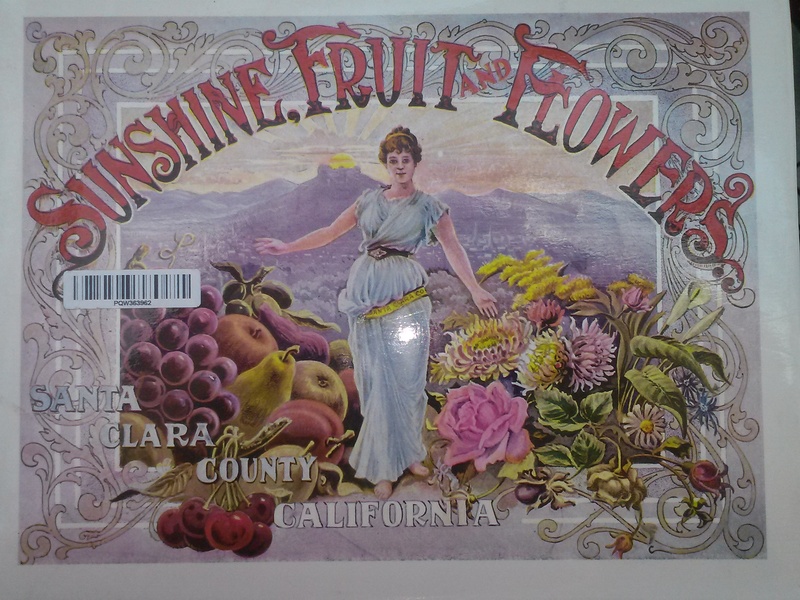 Evergreen would come to light through its fruit exports and famed residents. Truth is beyond the suburban developments in Evergreen, there are still vacation spots with stunning vistas and hiking destinations. Evergreen is still at the City’s edge and full of rural beauties, if you know where to look. Also, there are still wealthy families who consider Evergreen their vacation destination. 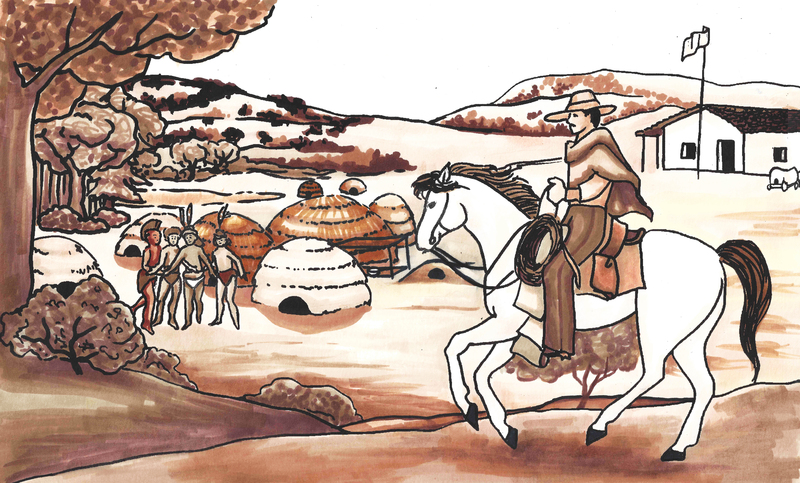 These large ranches end up being a link to the past traditions of their families and our Evergreen. Winnifred Coe Verbica was an inspiring Evergreen woman, but she’s also apart of Evergreen’s literary tradition. Here’s a poem her son Peter shared with me.